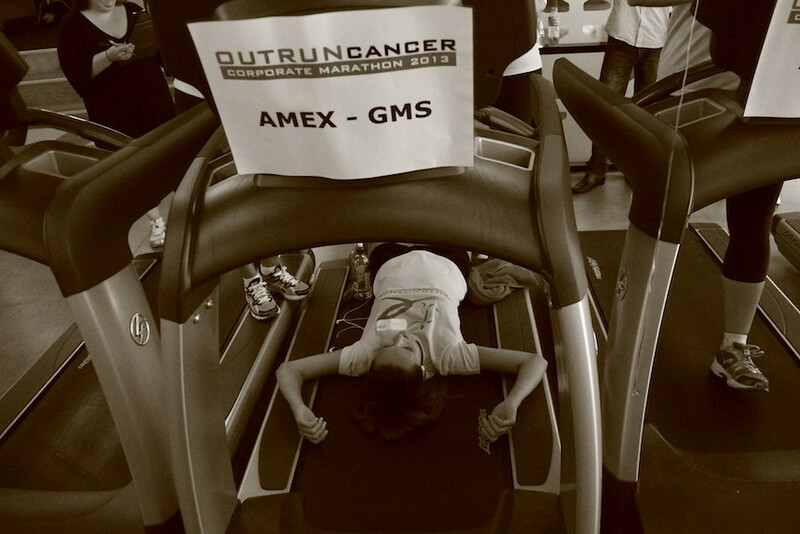 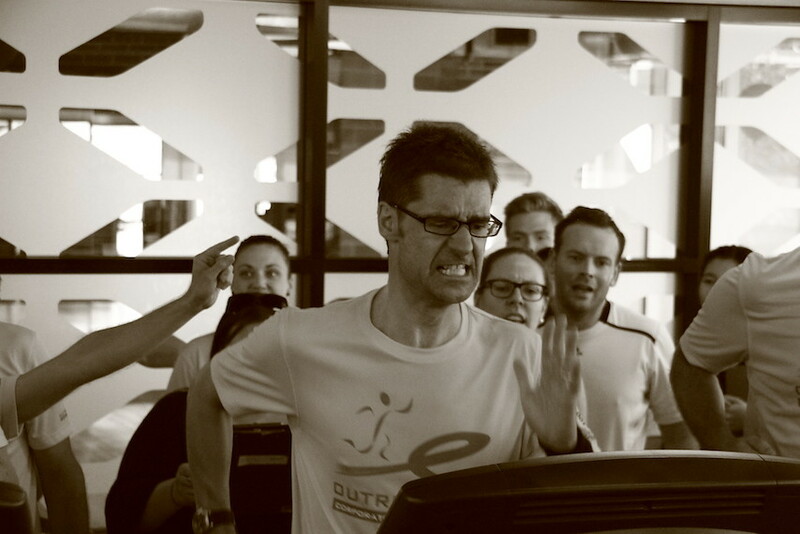 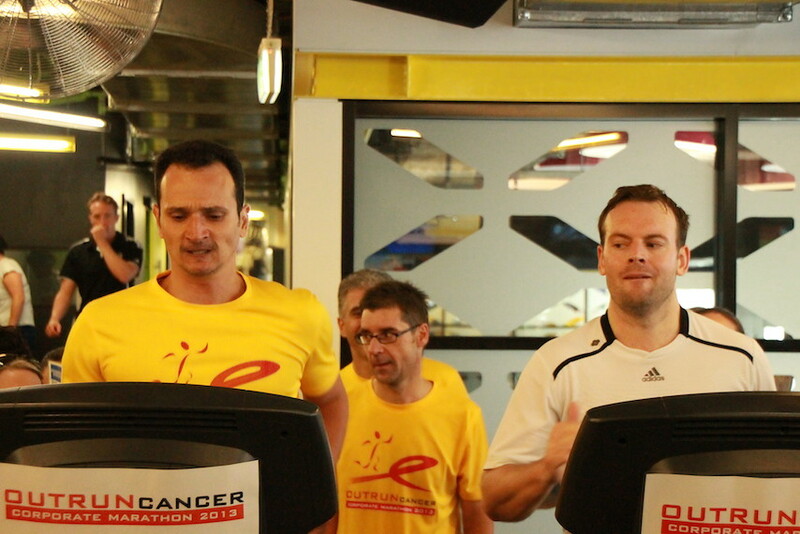 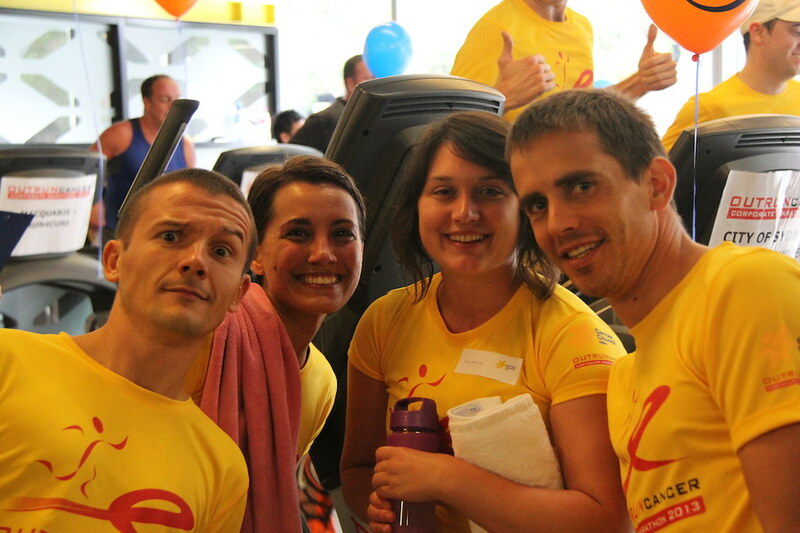 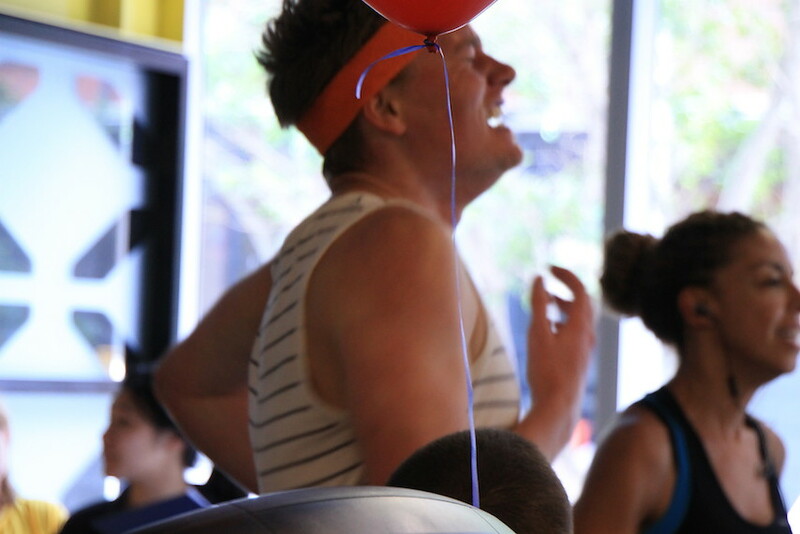 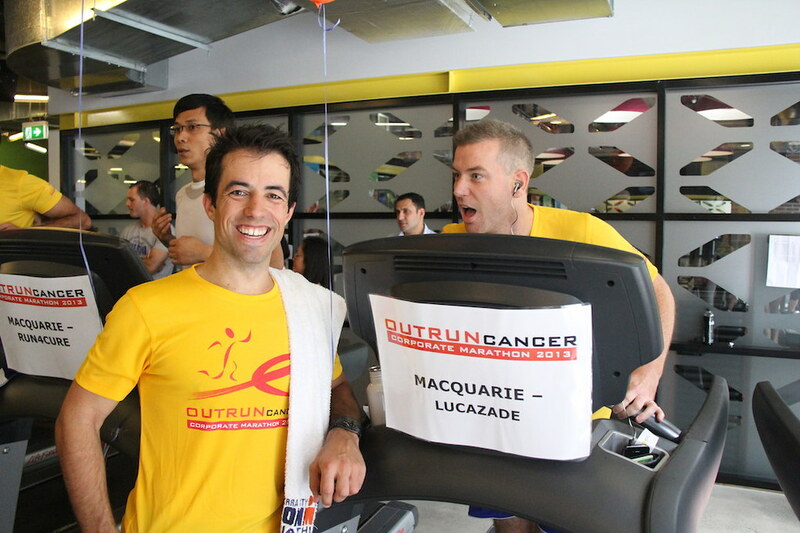 I had great expectations for our second OUTRUN CANCER Corporate Treadmill Marathon and somehow we managed to exceed them. 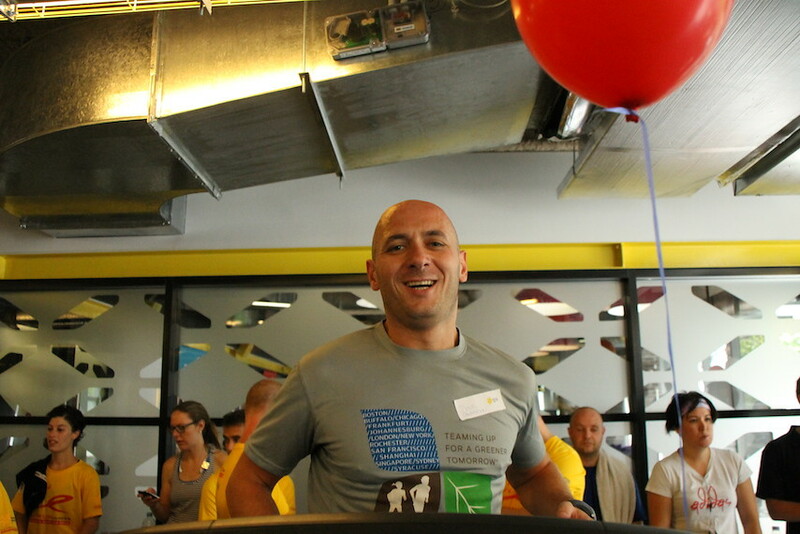 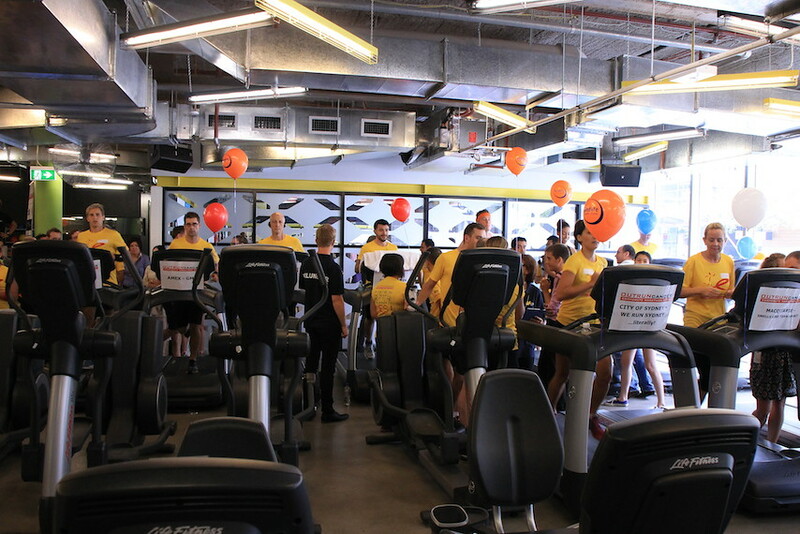 We have broken many possible records, from the number of participants to the number of sponsors, from the fastest marathon time to the amount raised for cancer research. 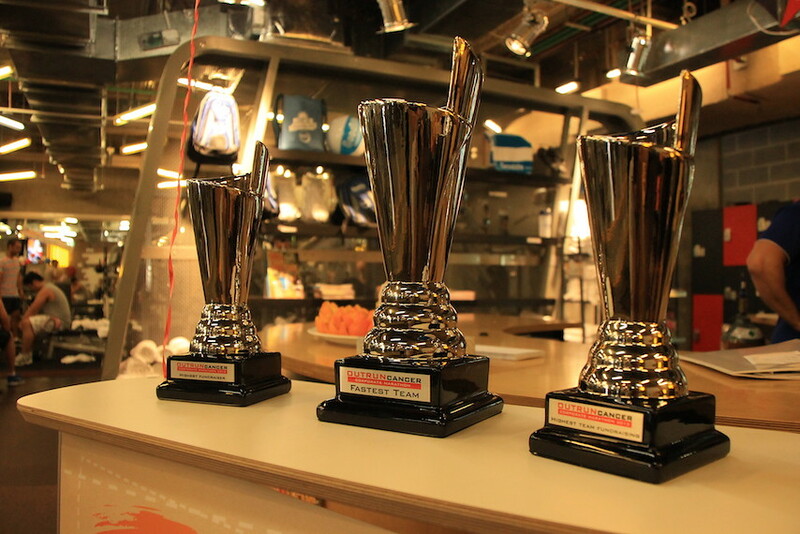 We have raised the bar very high for 2014! 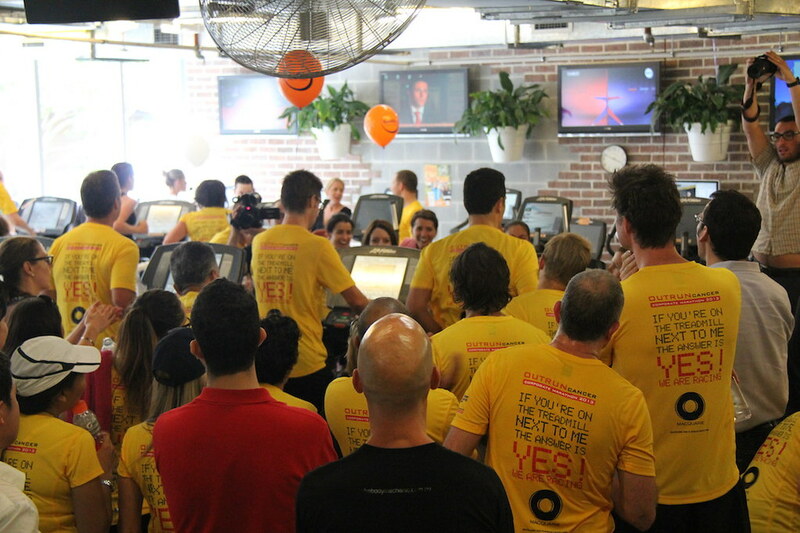 Ibis Hotel, for top prize weekend accommodation. 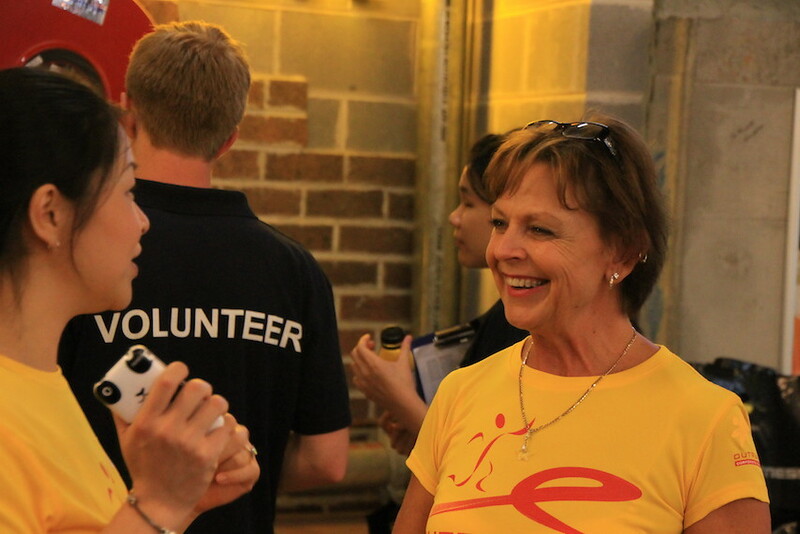 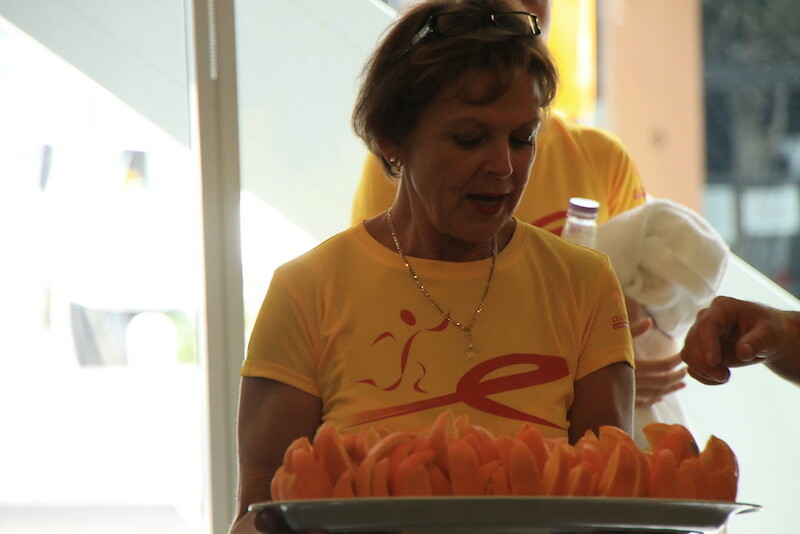 A huge thank you to our wonderful volunteers and most importantly, to all the runners. 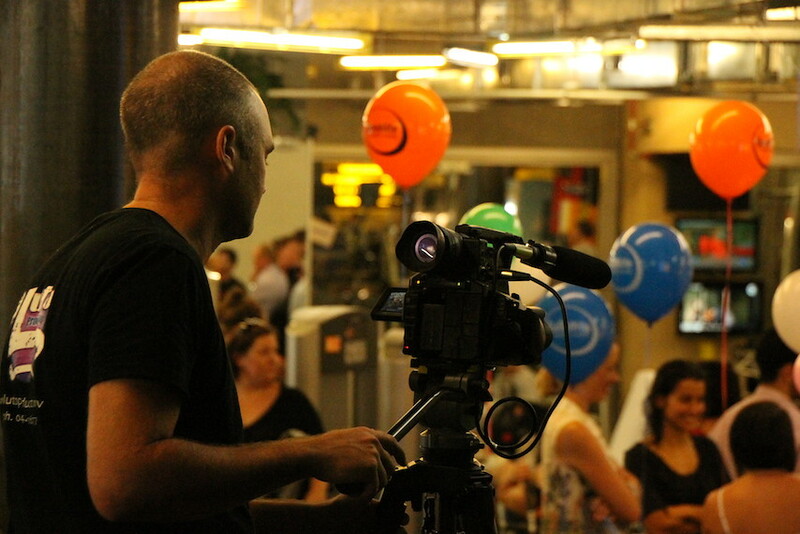 The vibe was as always fantastic, a good sense of camaraderie and feeling smug to be part of something quite special. 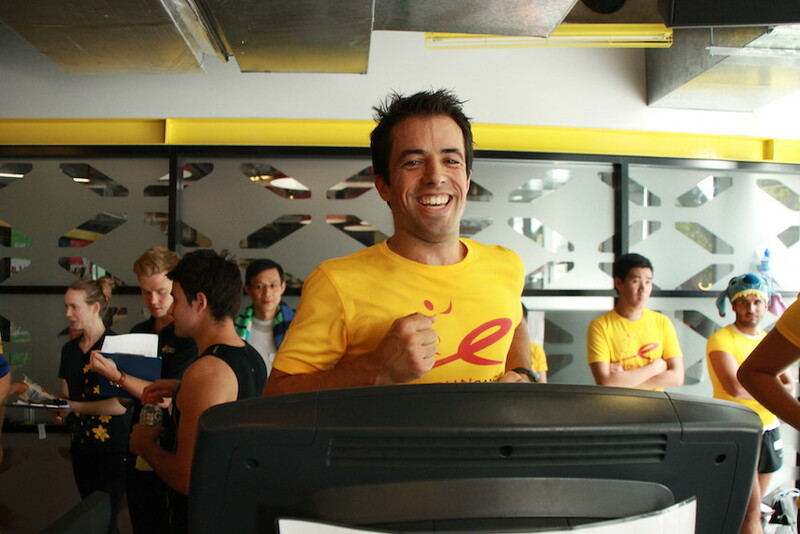 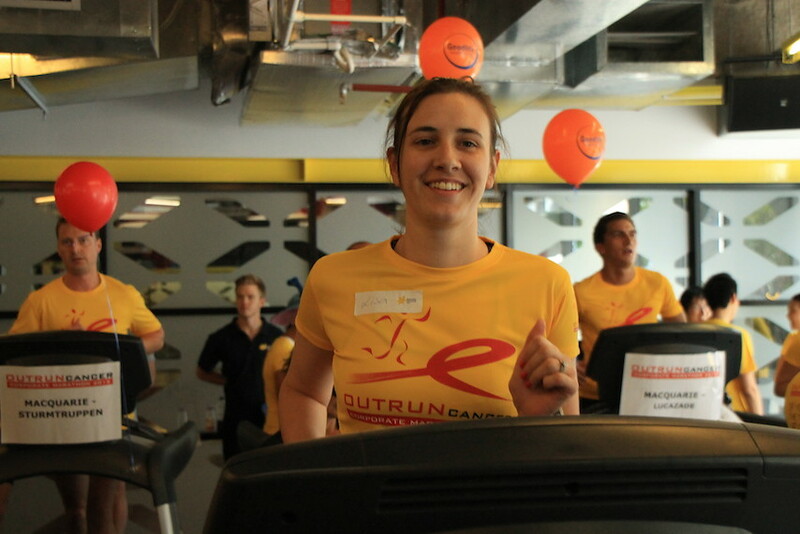 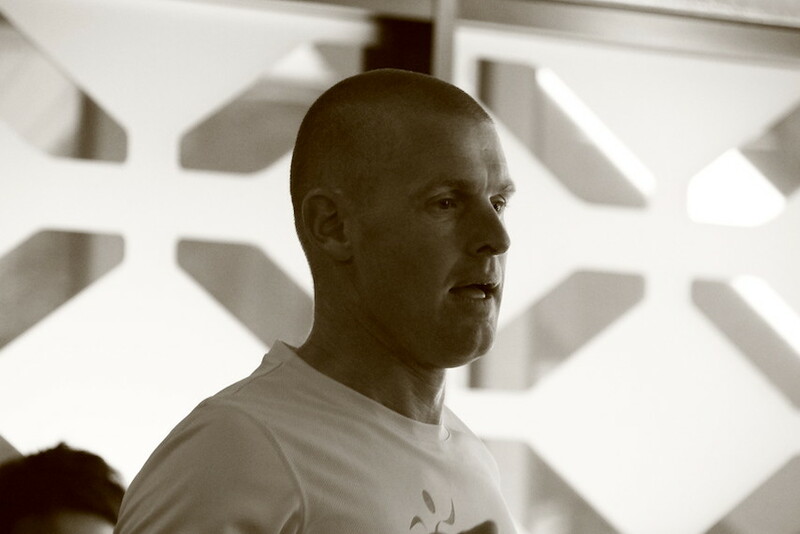 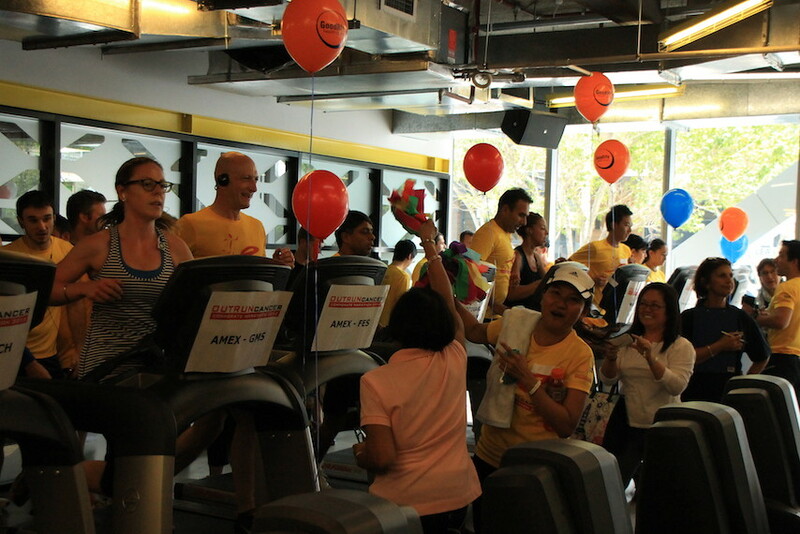 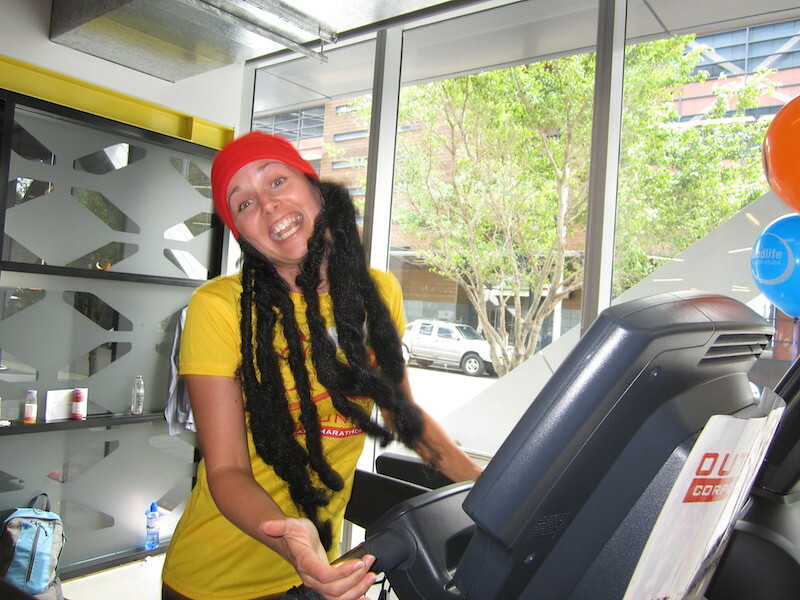 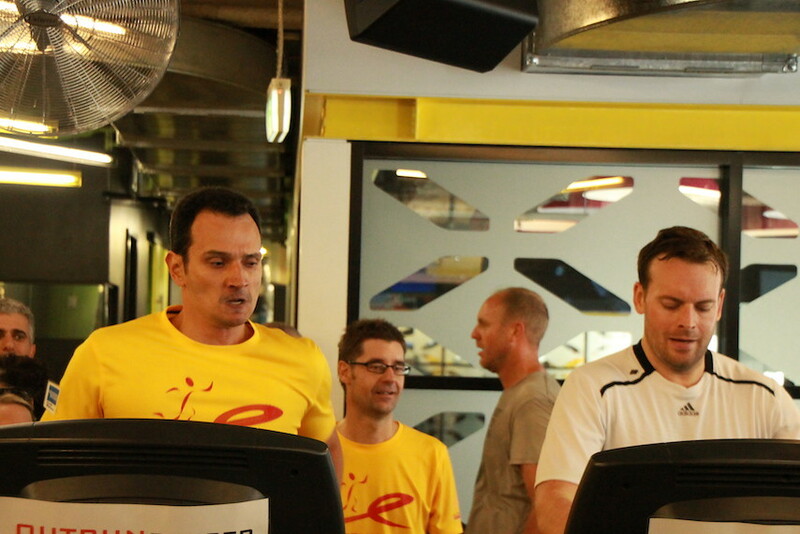 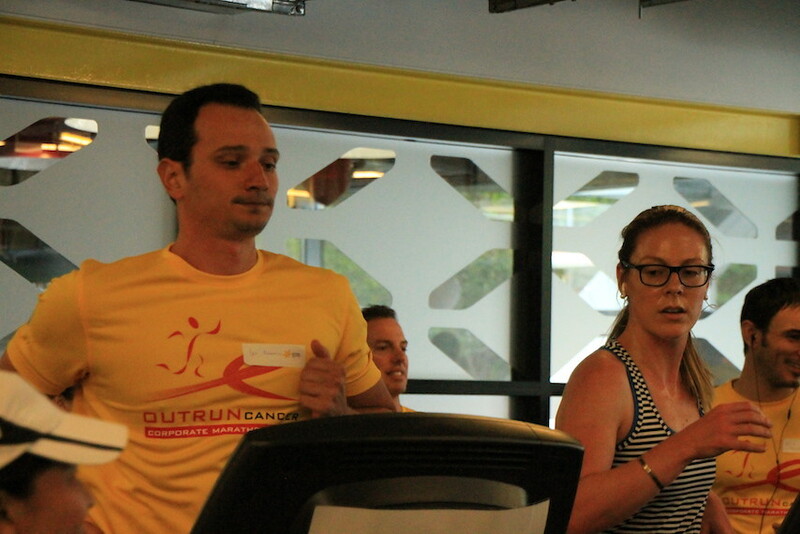 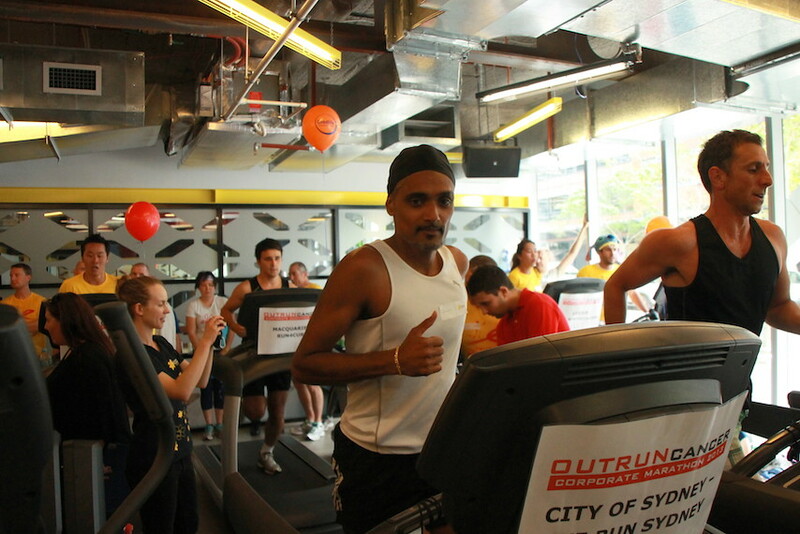 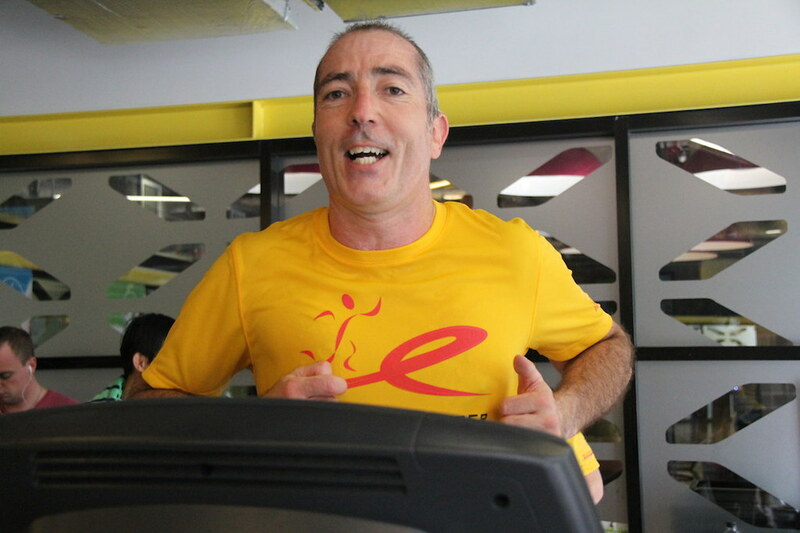 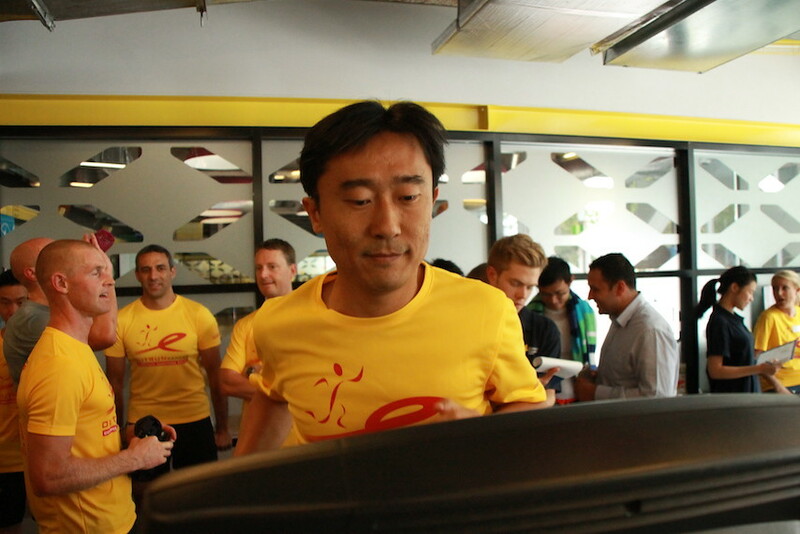 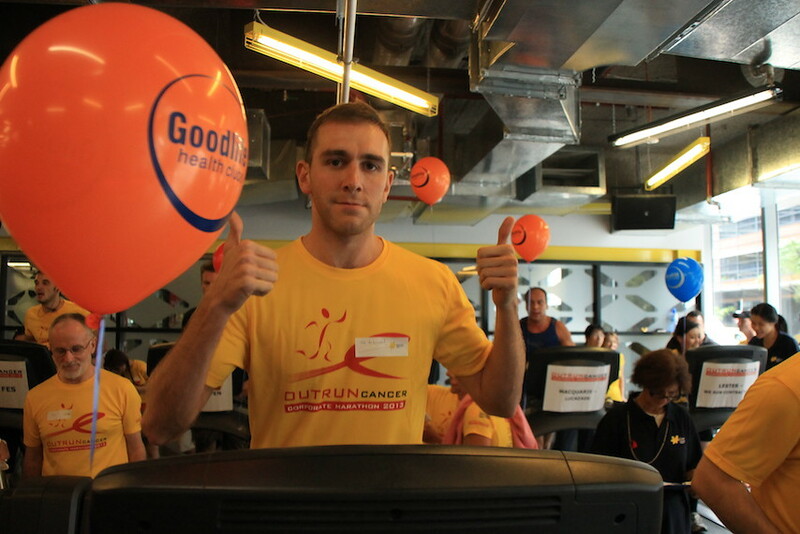 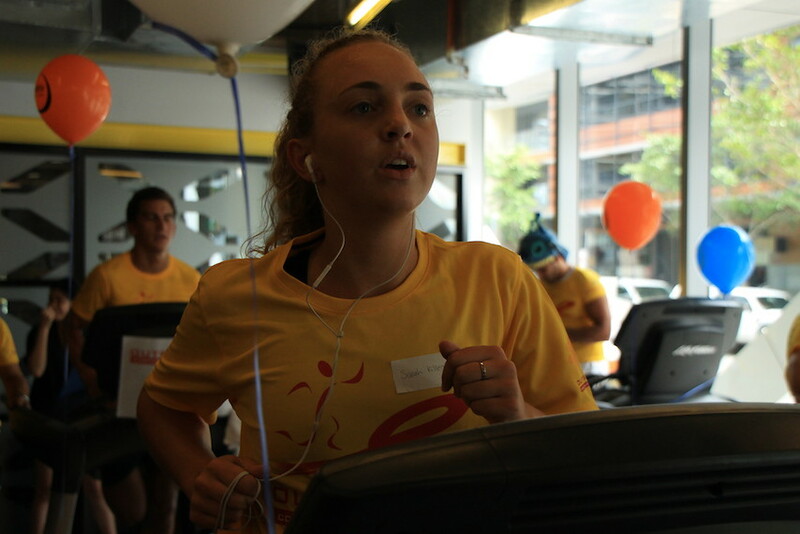 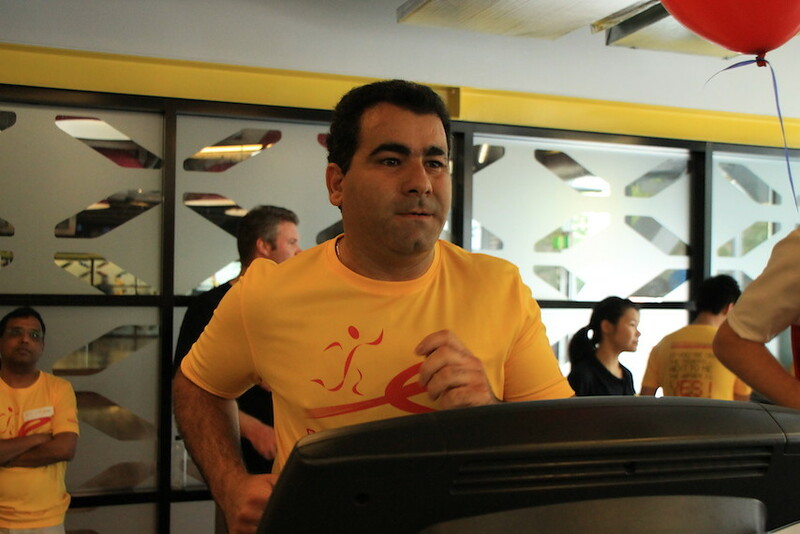 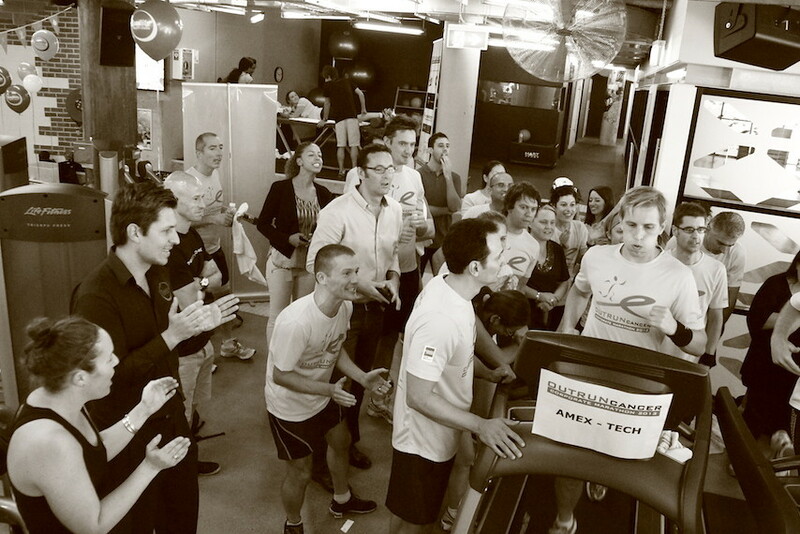 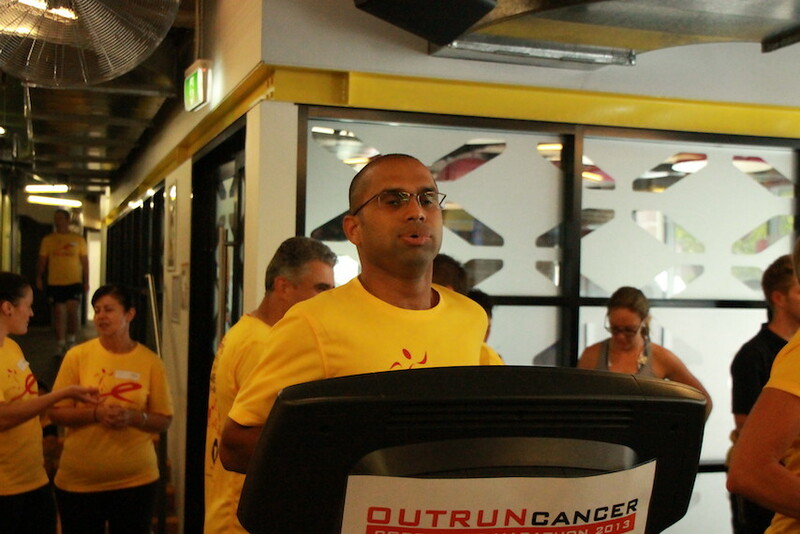 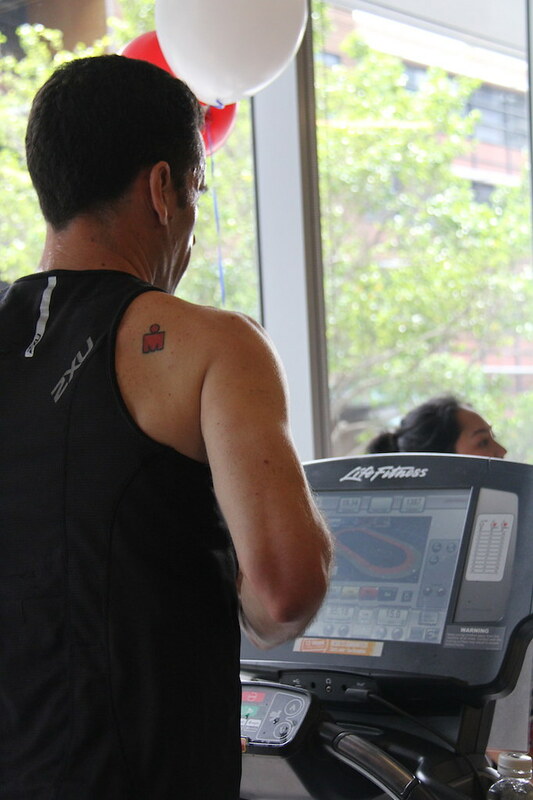 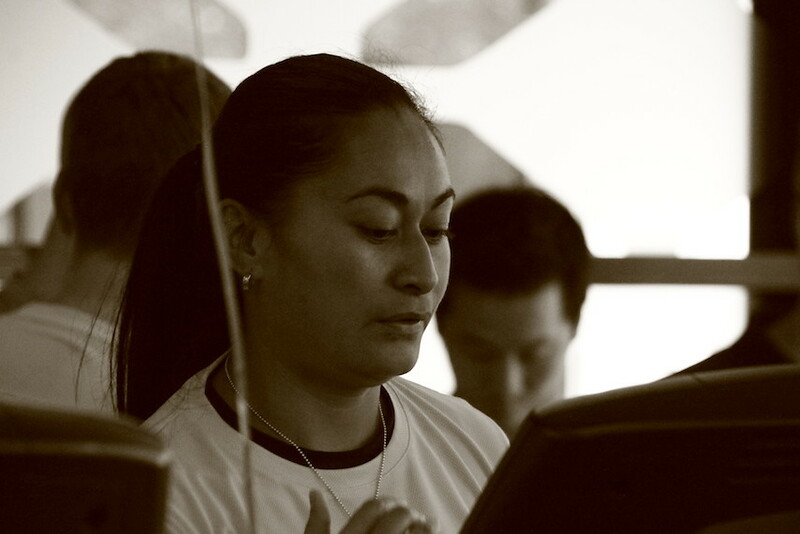 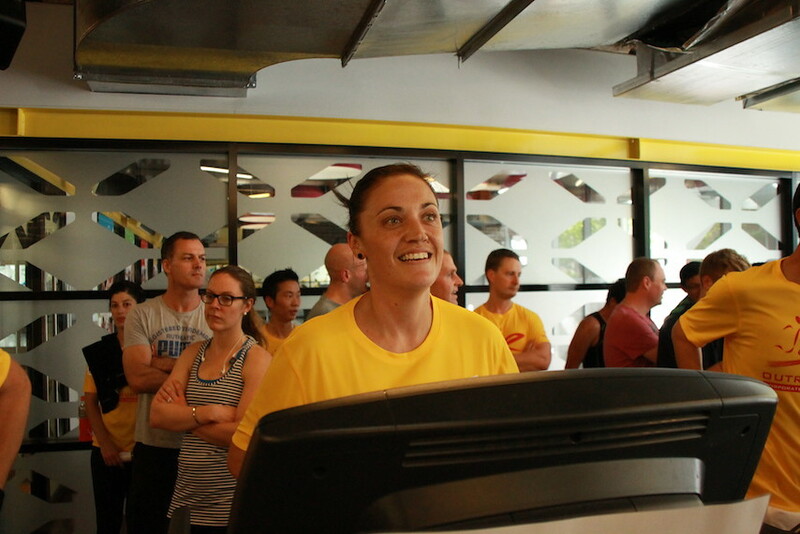 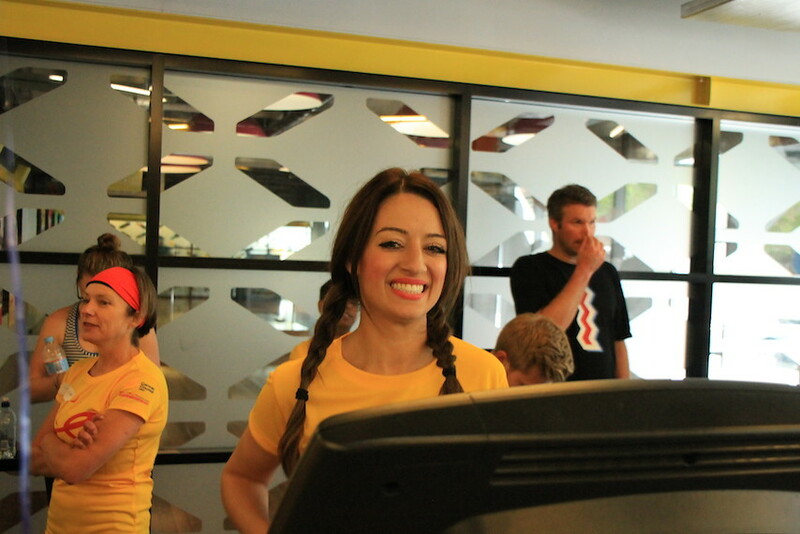 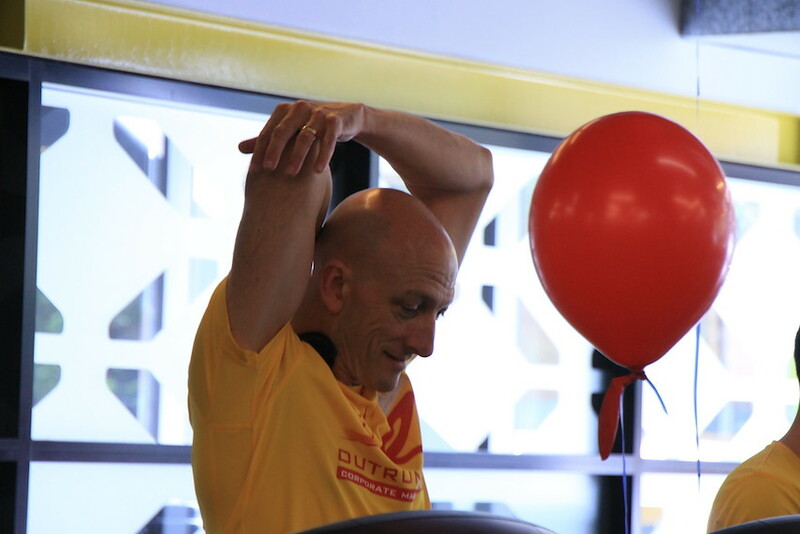 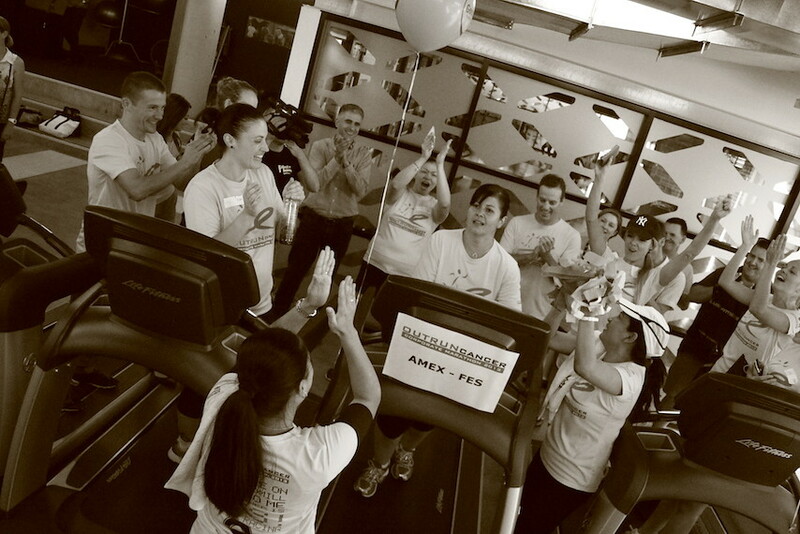 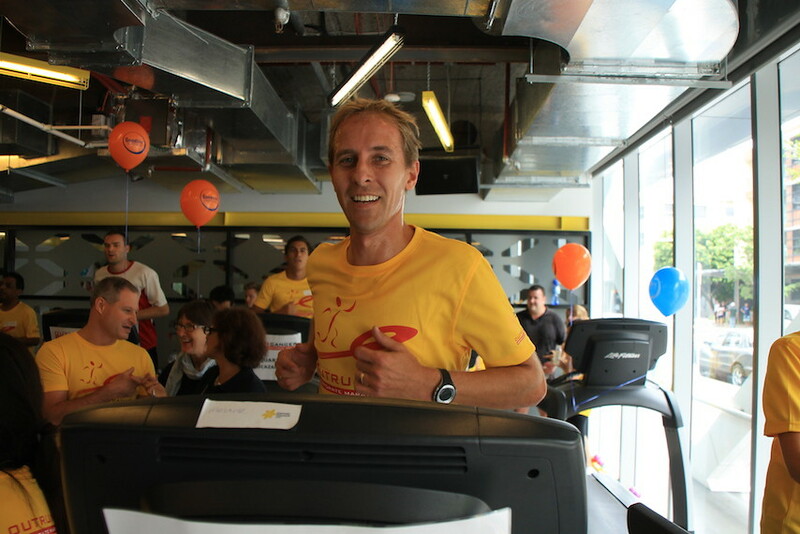 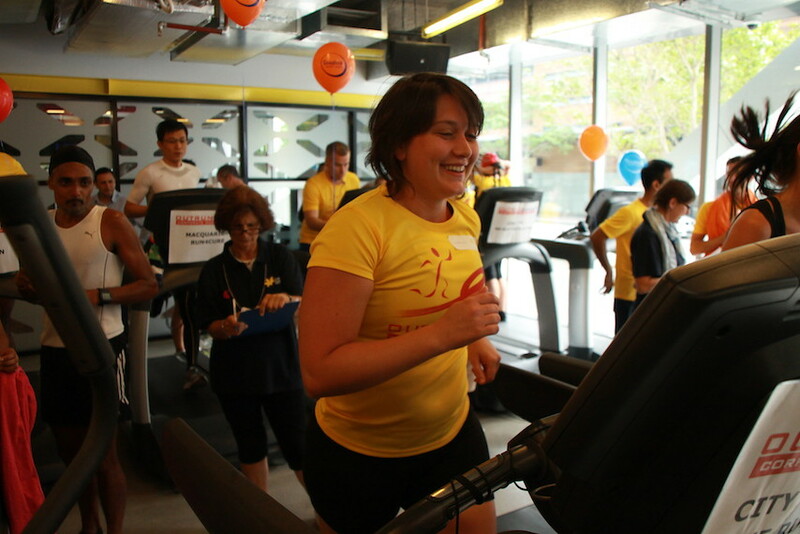 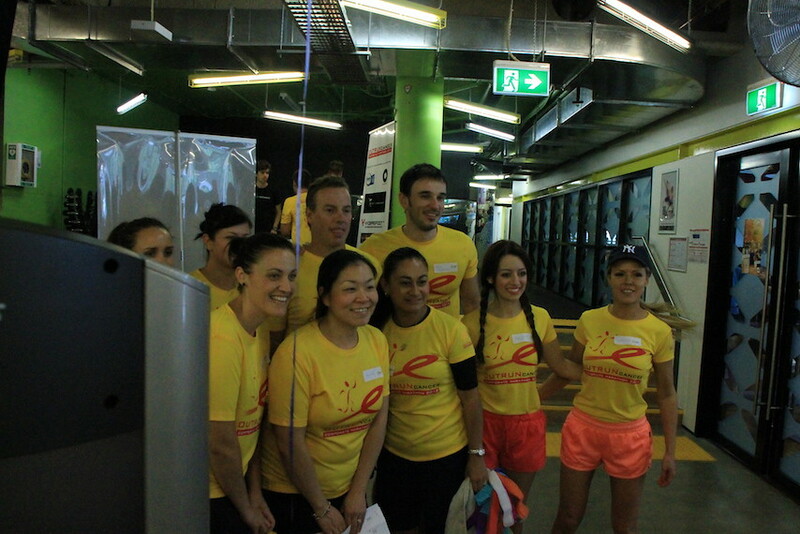 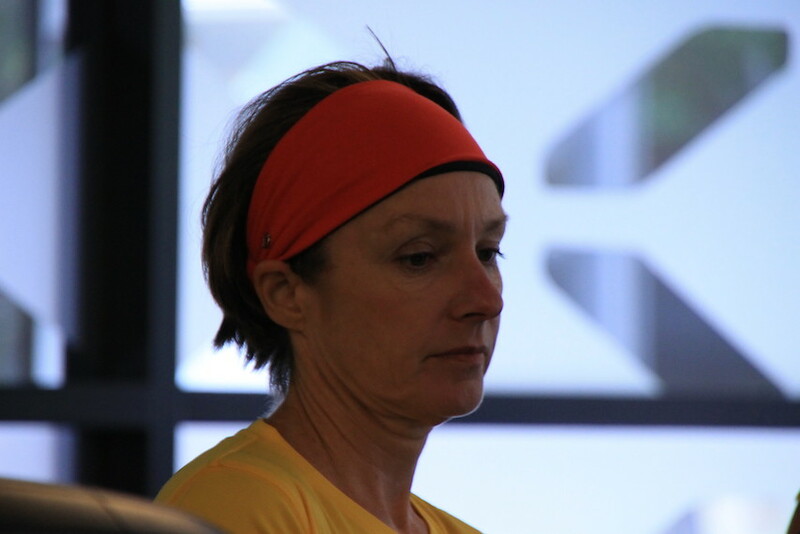 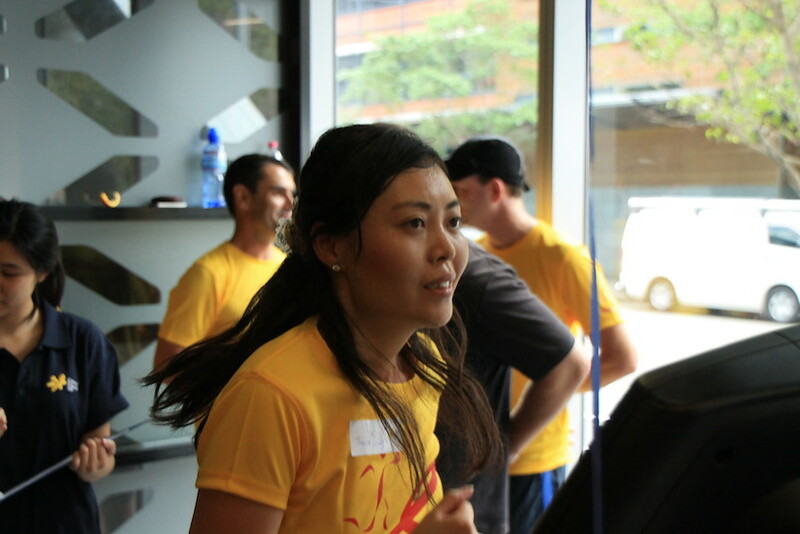 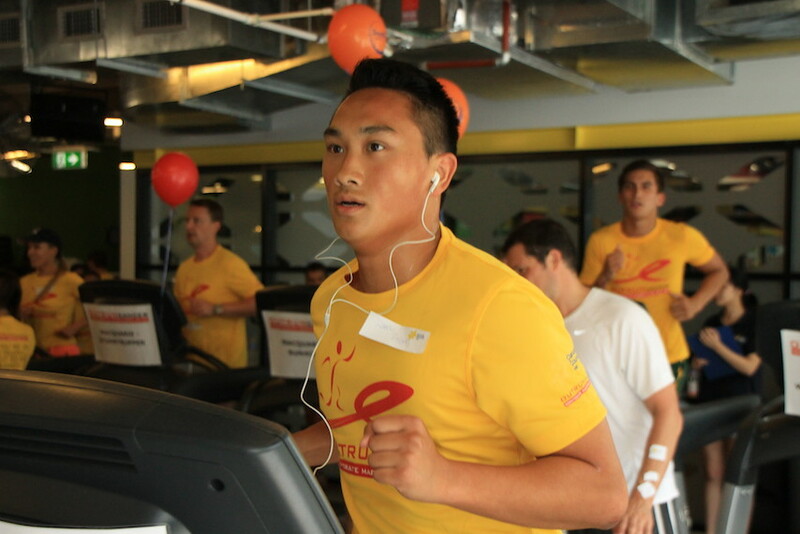 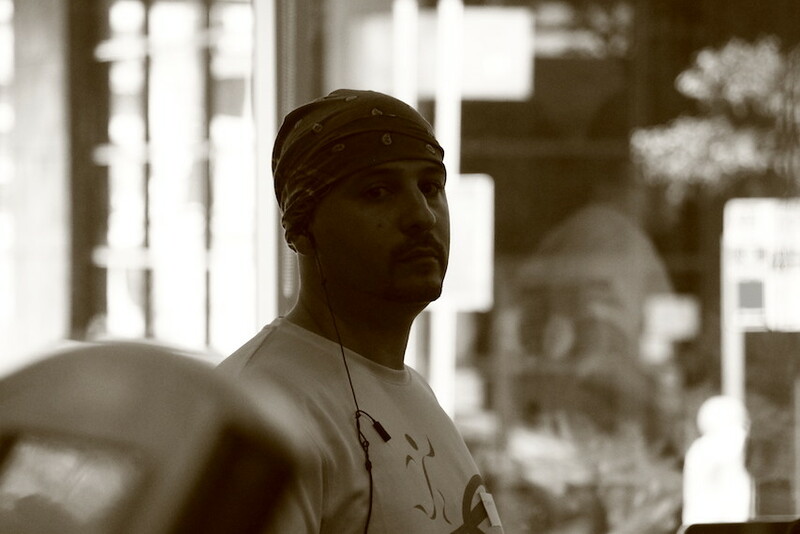 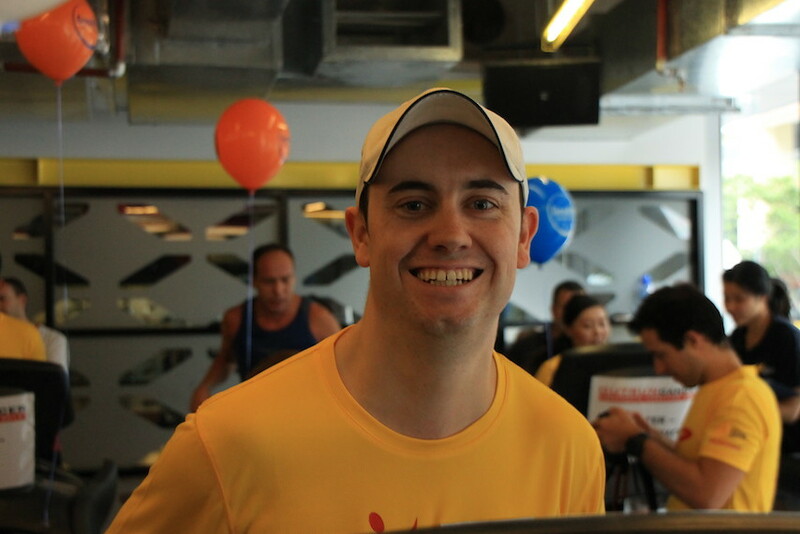 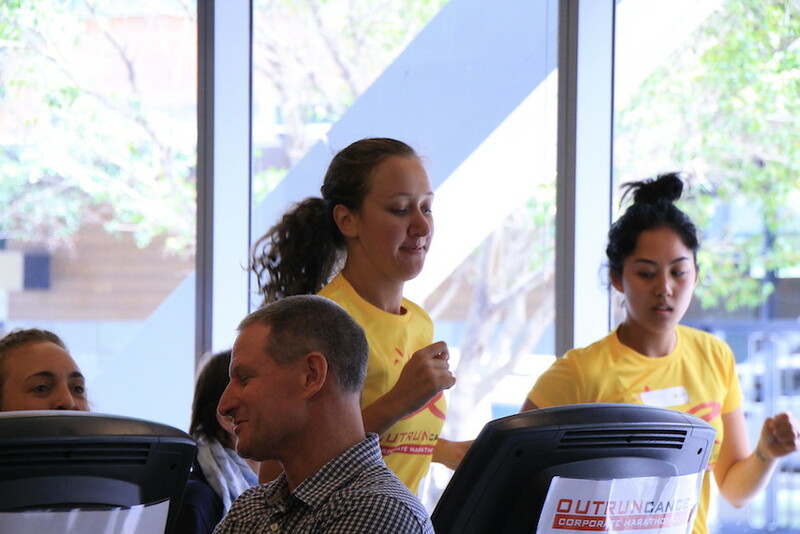 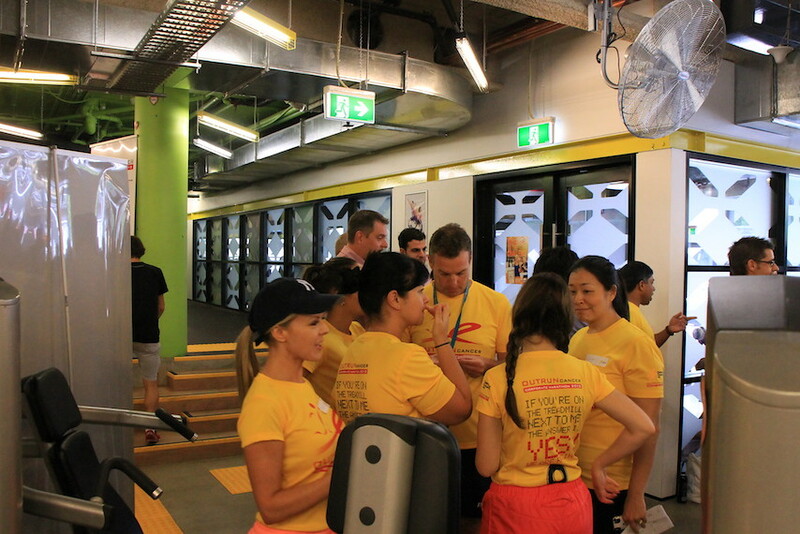 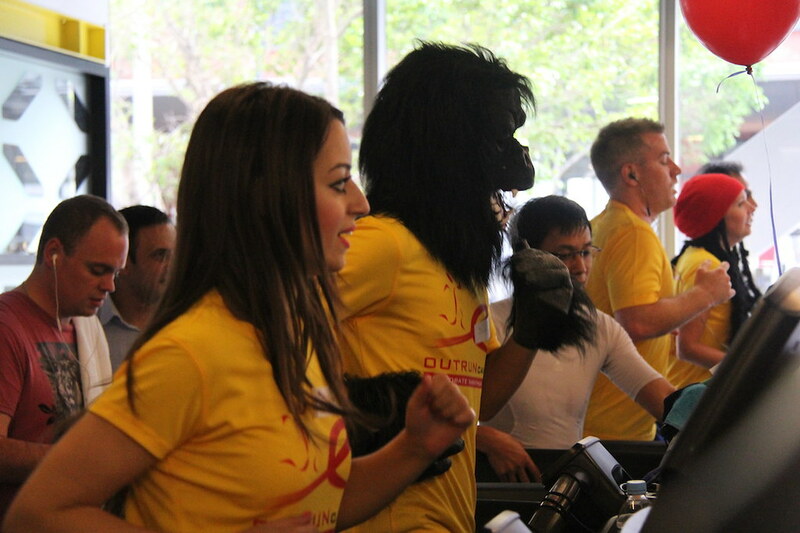 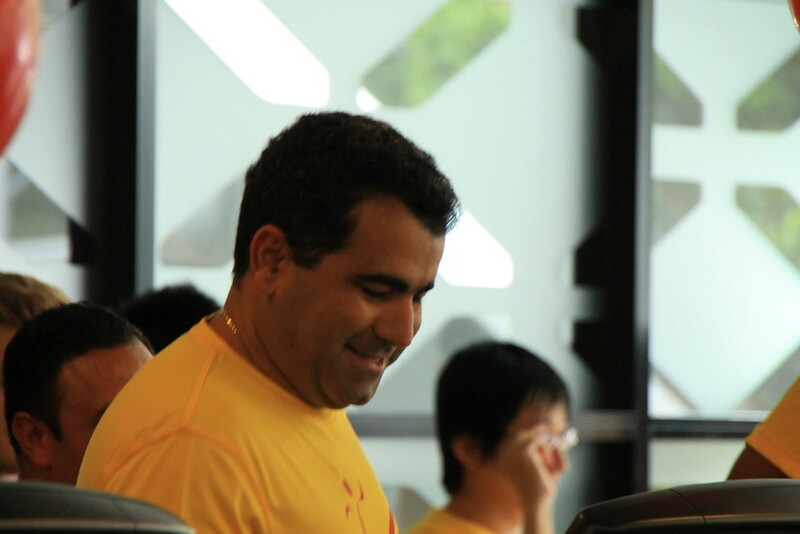 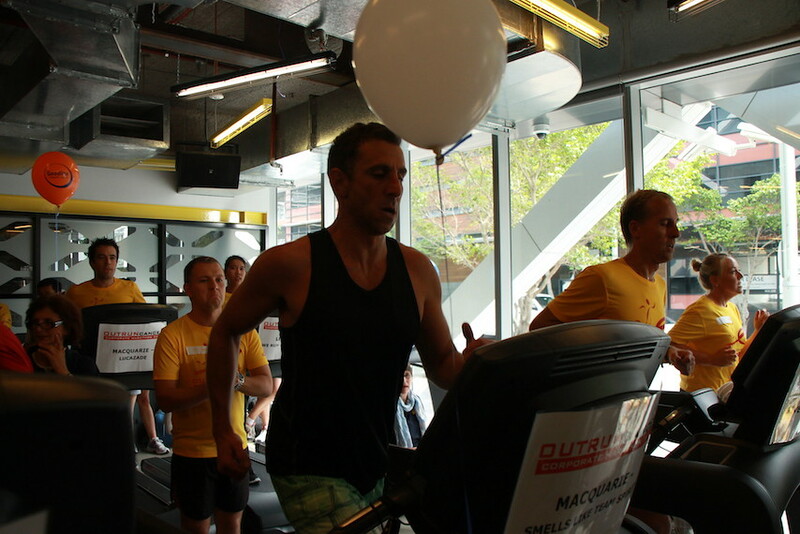 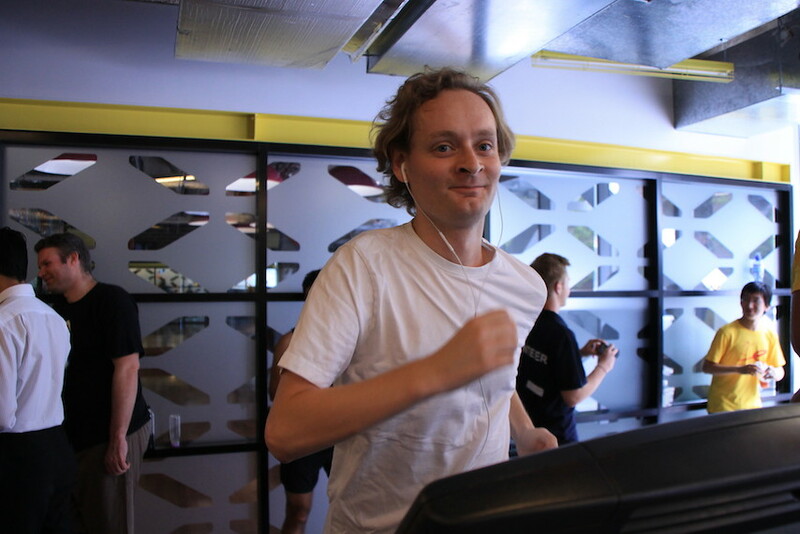 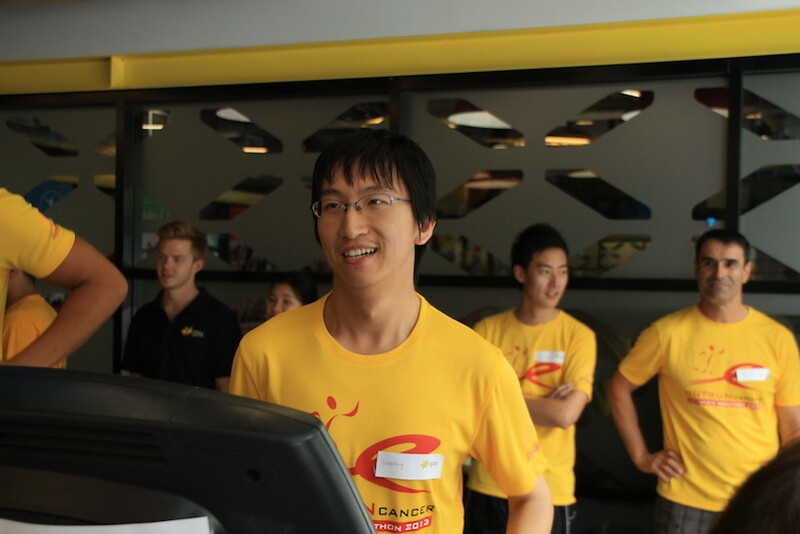 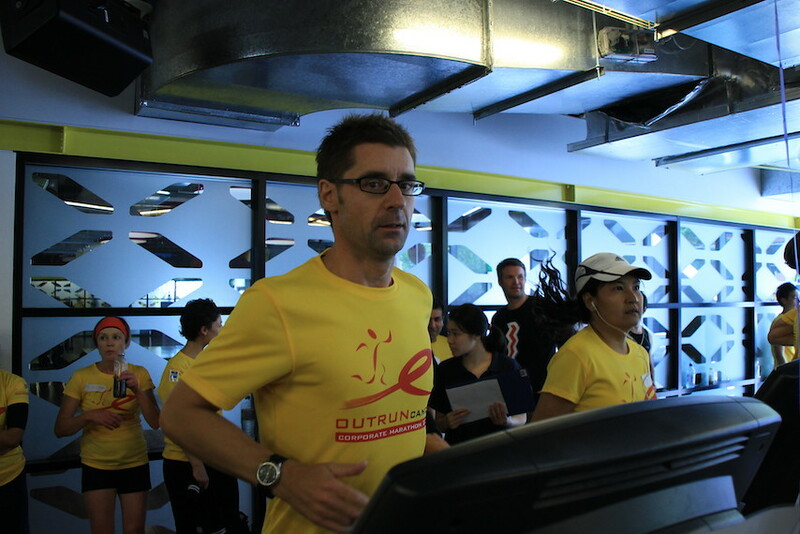 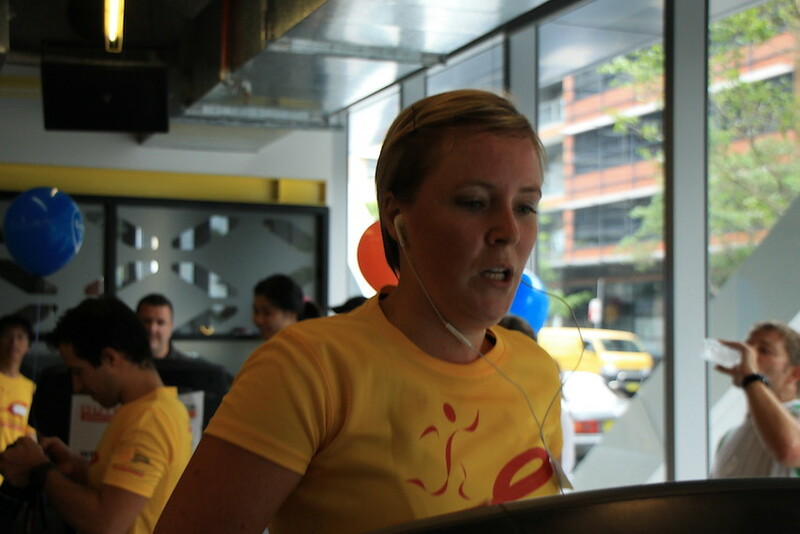 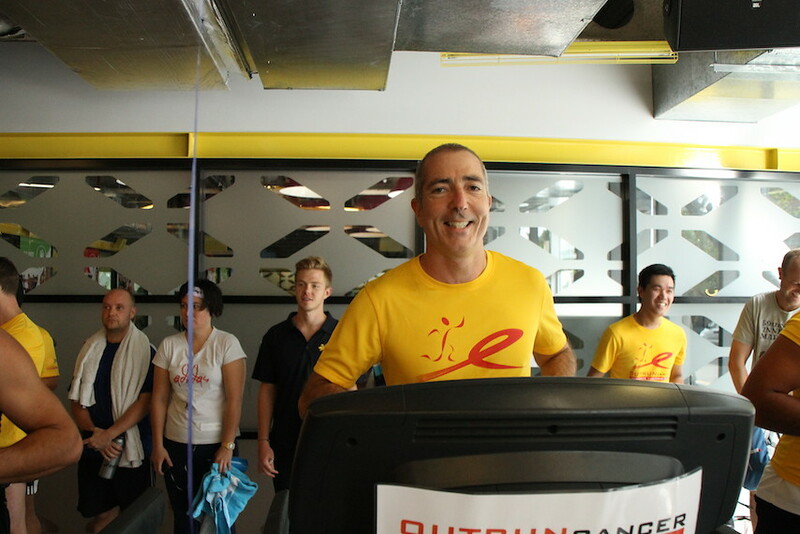 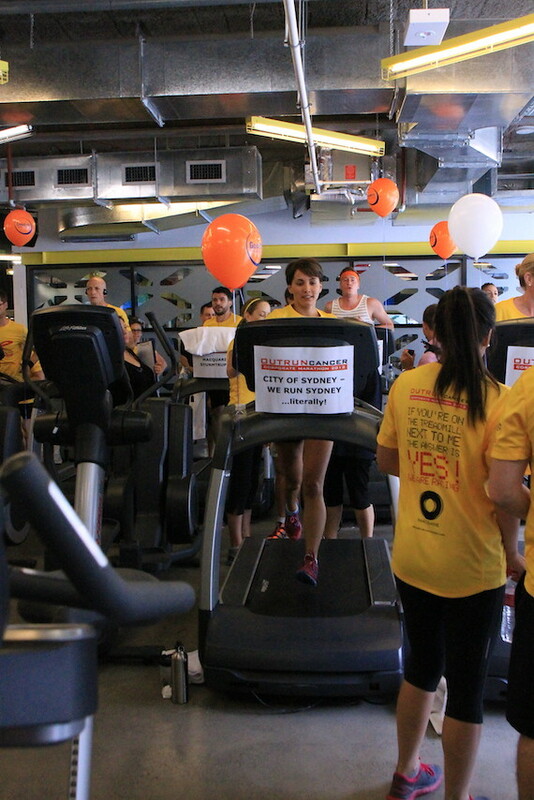 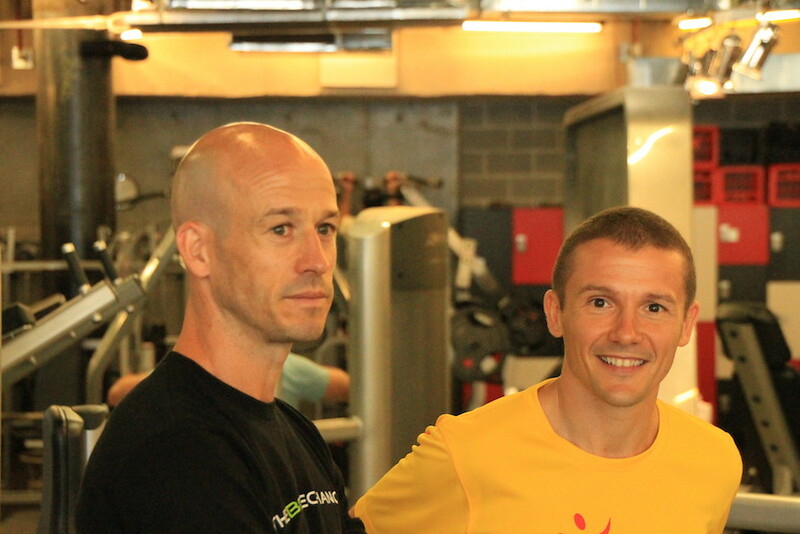 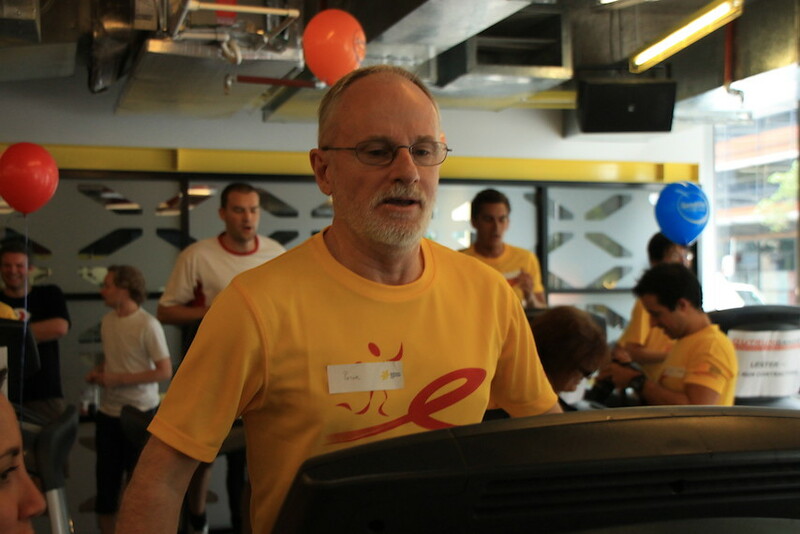 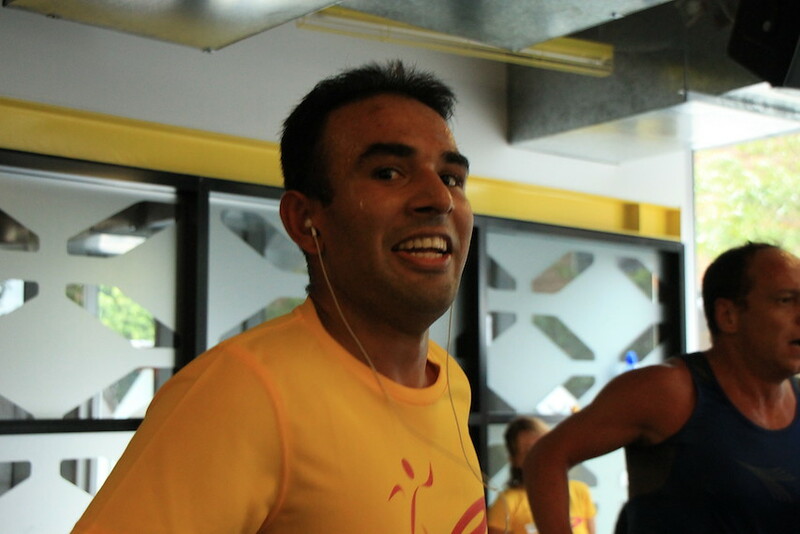 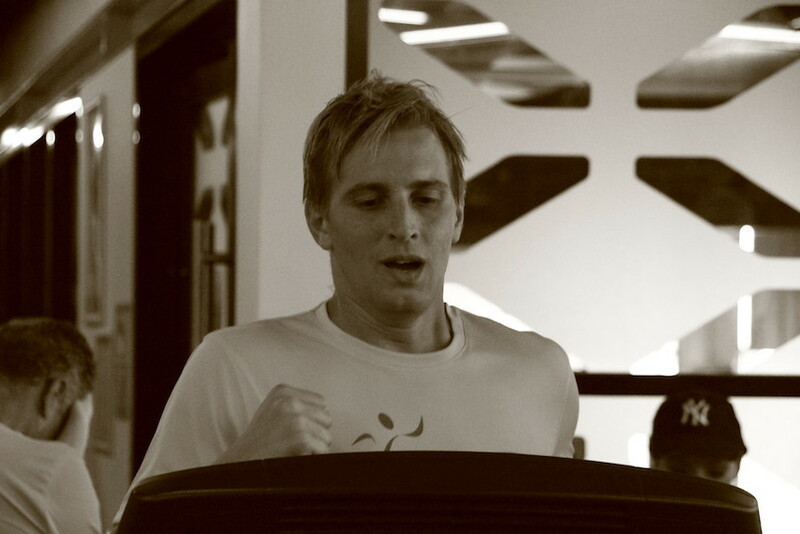 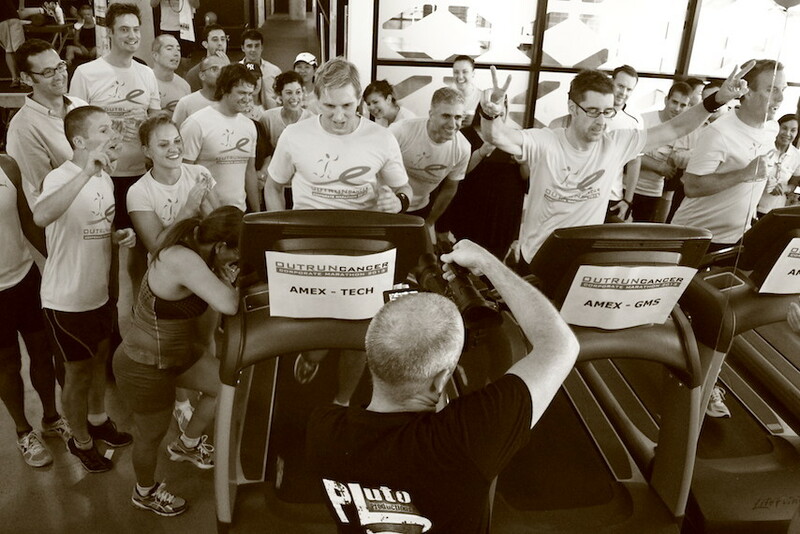 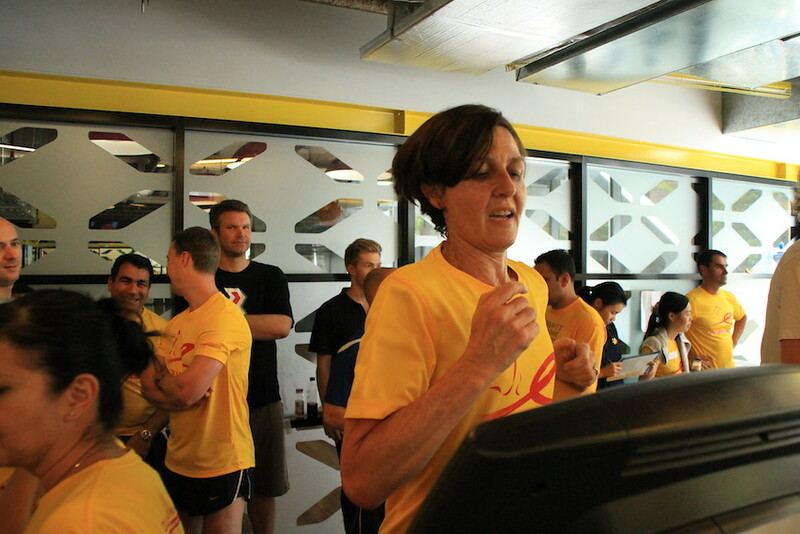 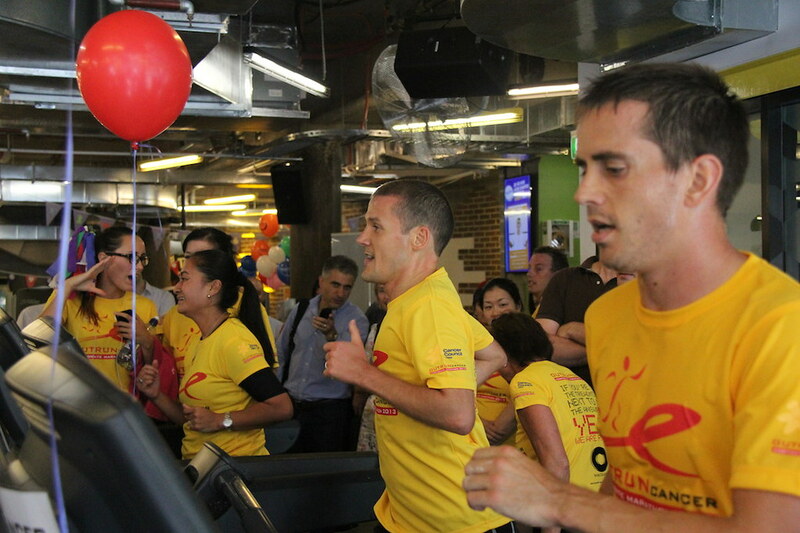 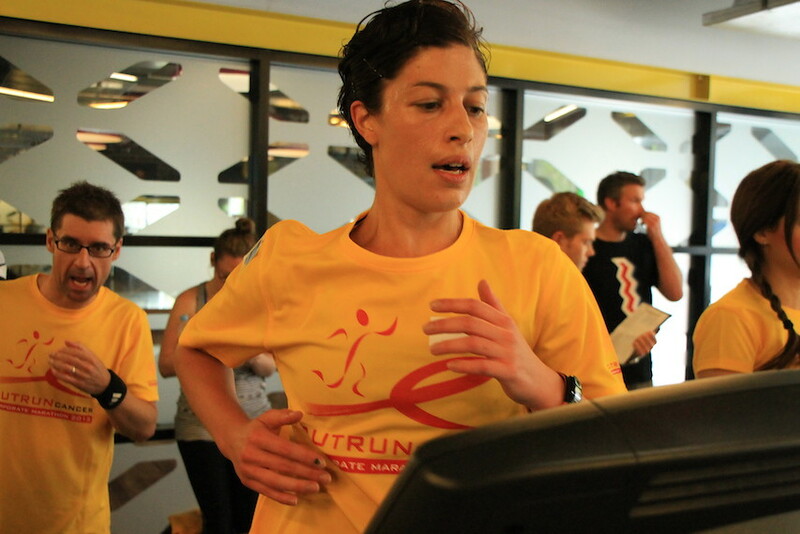 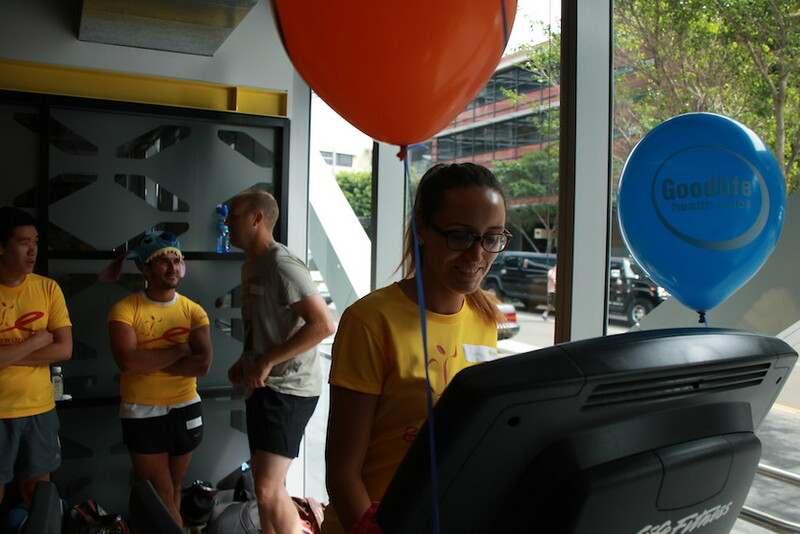 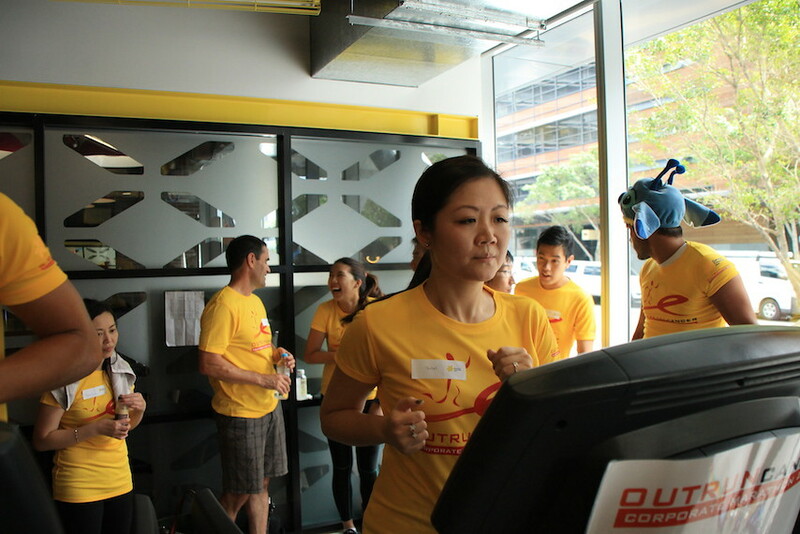 This year the OUTRUN CANCER Corporate Treadmill Marathon saw a total of 111 runners taking over the treadmills at the Goodlife Health Club in Sydney. 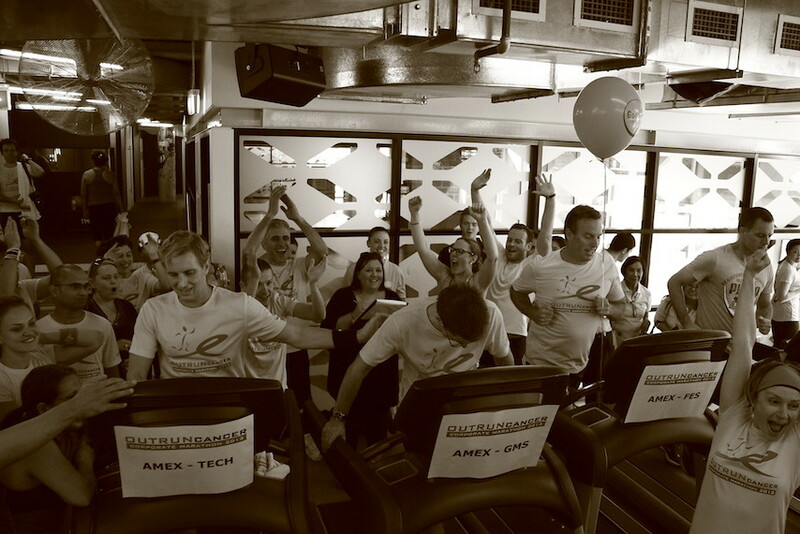 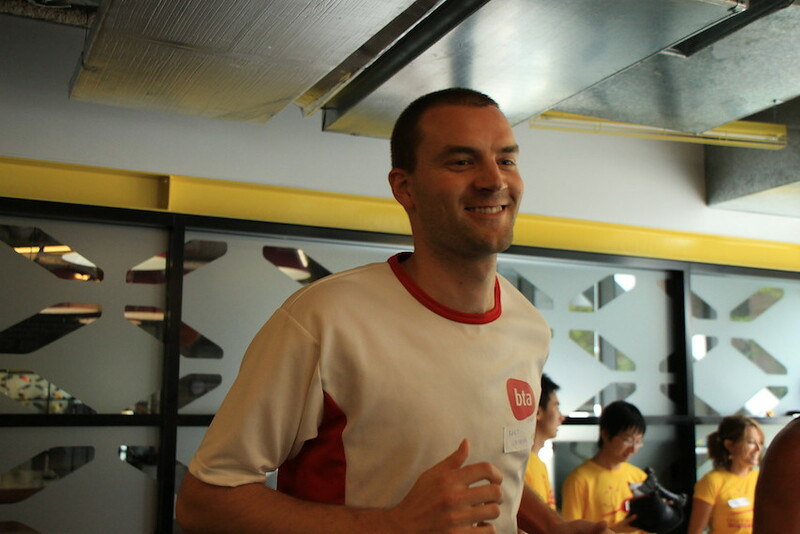 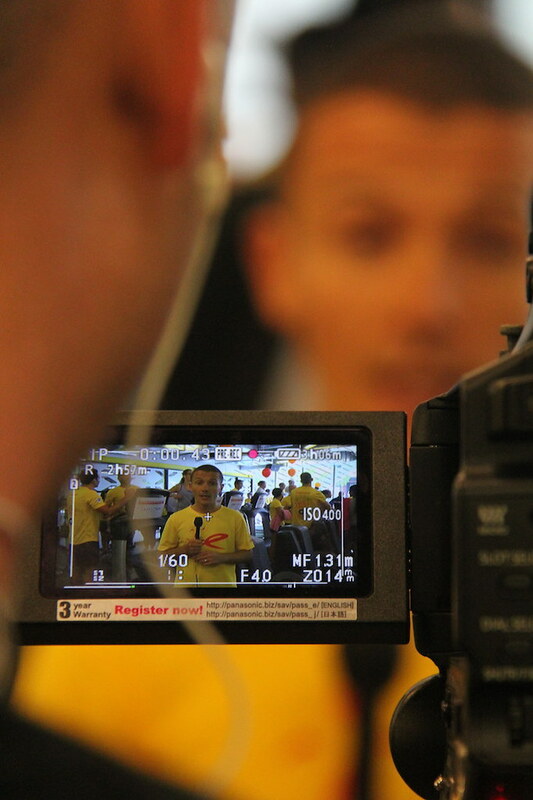 We had a total number of 11 teams from 4 different corporations, which represents an increase of 23% from last year. 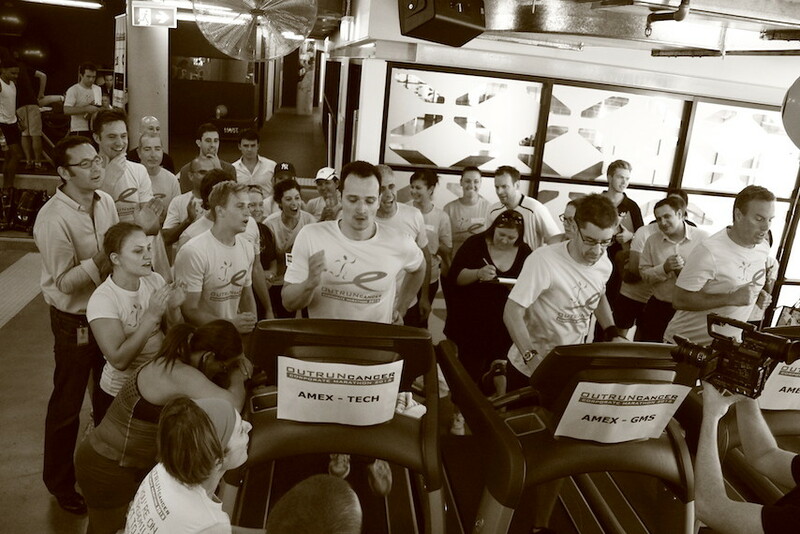 While the number of male participants (70) remained exactly the same as 2012, the number of female participants more than doubled, from 20 to 41. 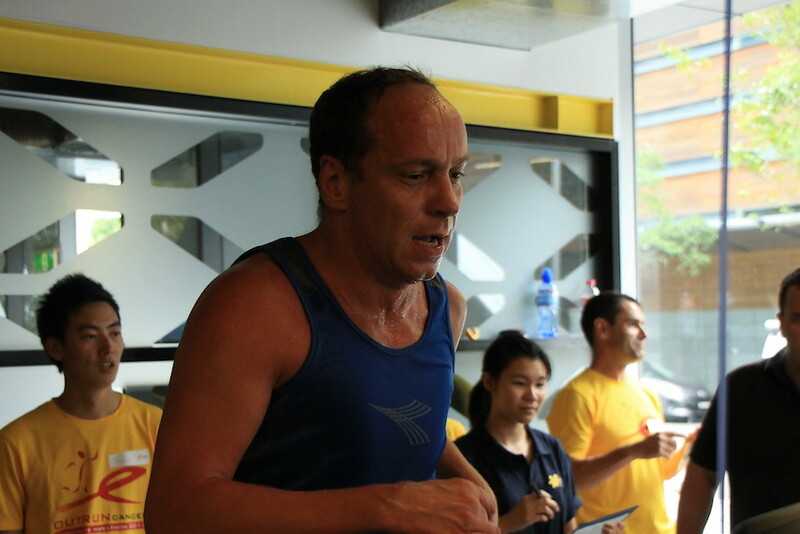 The collective marathon times were also much faster, with a very respectable average of 3h 22min and a fastest time of 2h 50min 29secs (compared to 3h 40min and 3h 06min of 2012). 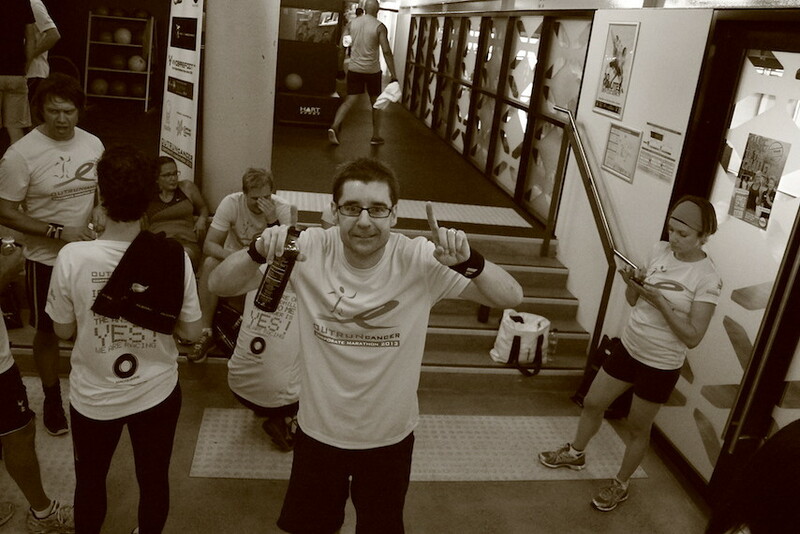 And what a battle that was! 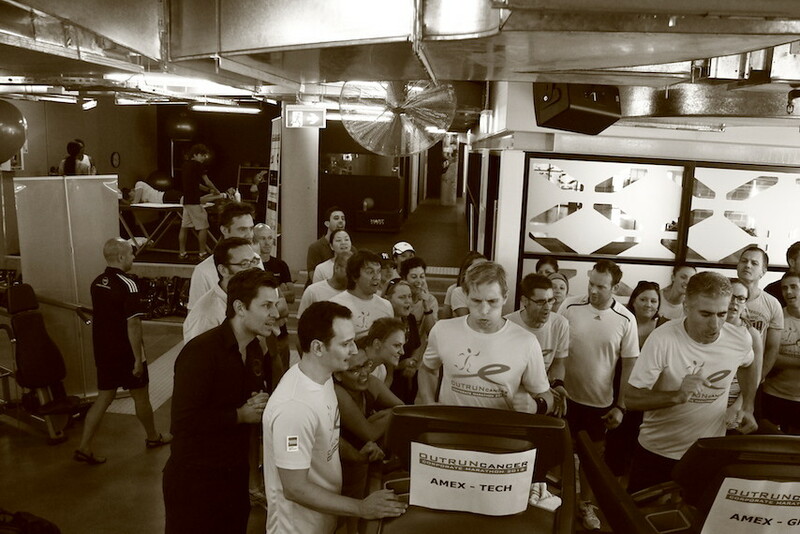 The GMS and TECH teams from AMEX stayed on each other’s tail for the whole marathon finishing only 16 seconds apart.. 30 meters or so. 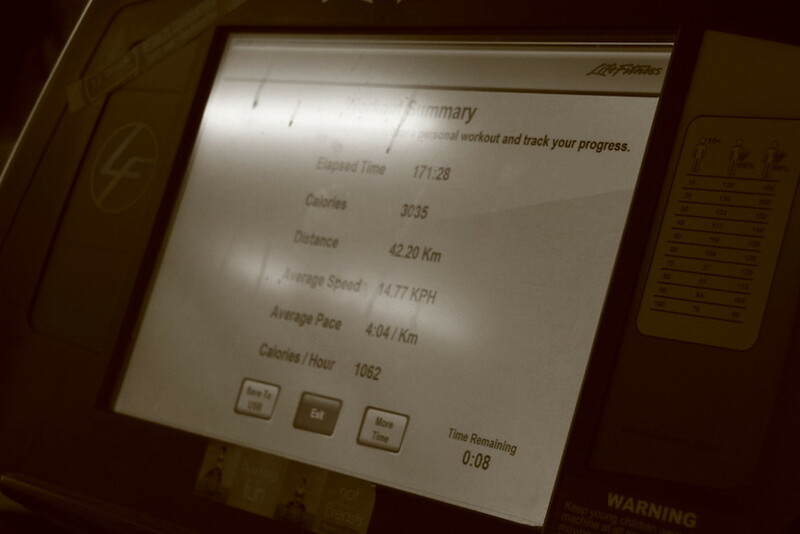 Honestly, I have never seen anyone running that fast on a treadmill, I think the treadmills went up to the maximum speed of 23km/h. 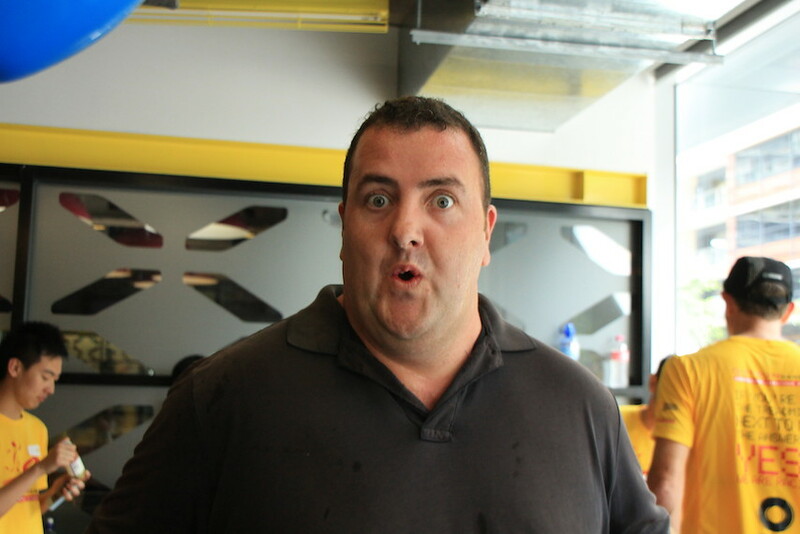 Crazy stuff! 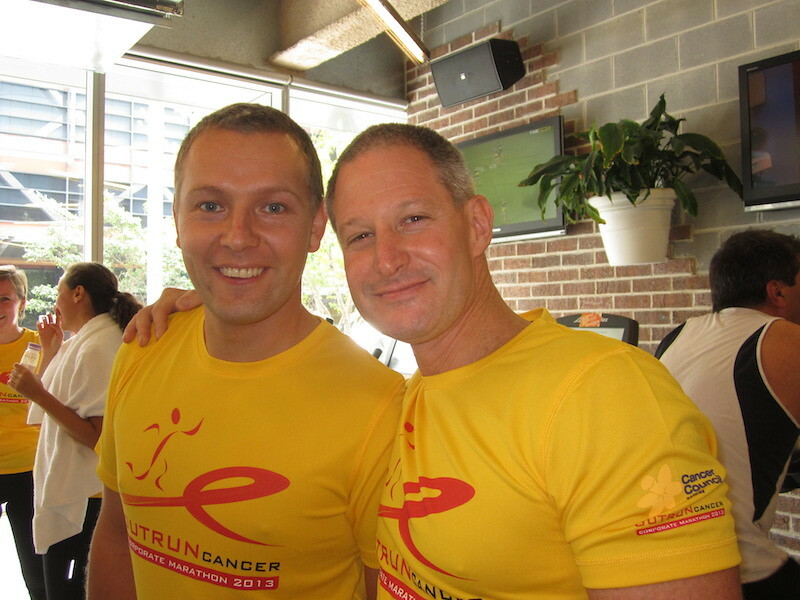 I thought their knees would detach! 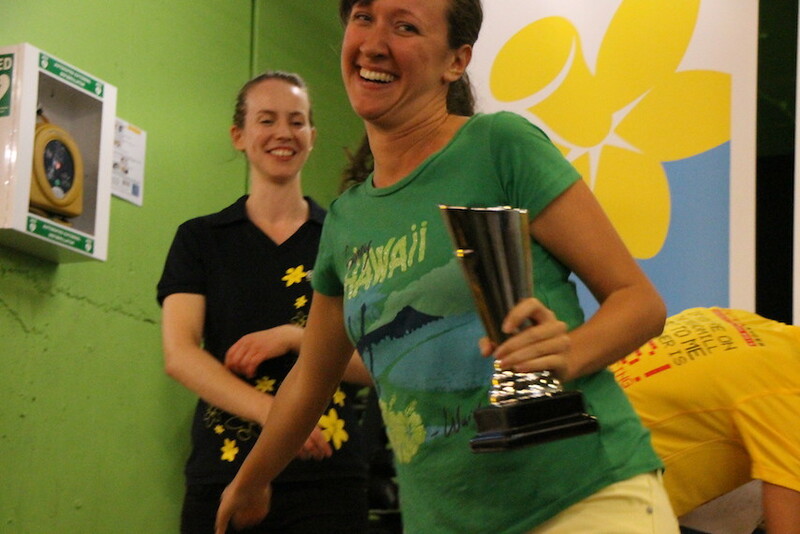 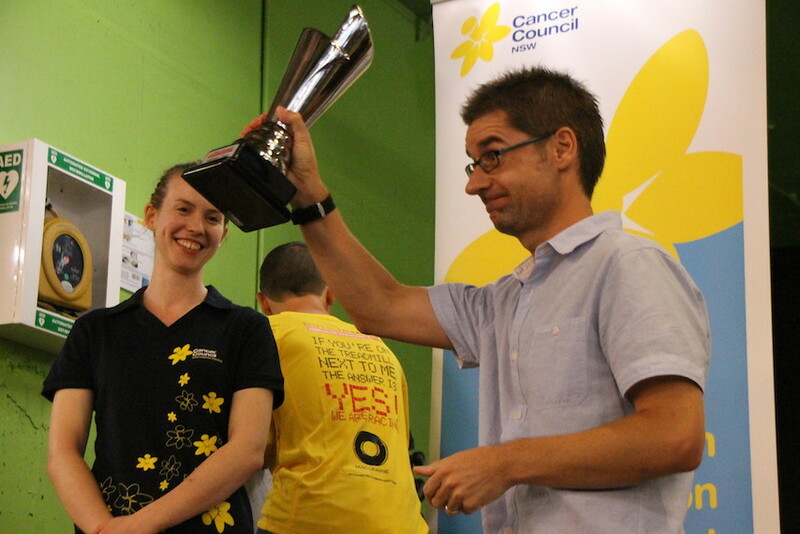 But the most amazing record of all, is the amount raised for cancer research: $21,300 ($6.5k more than 2012!) 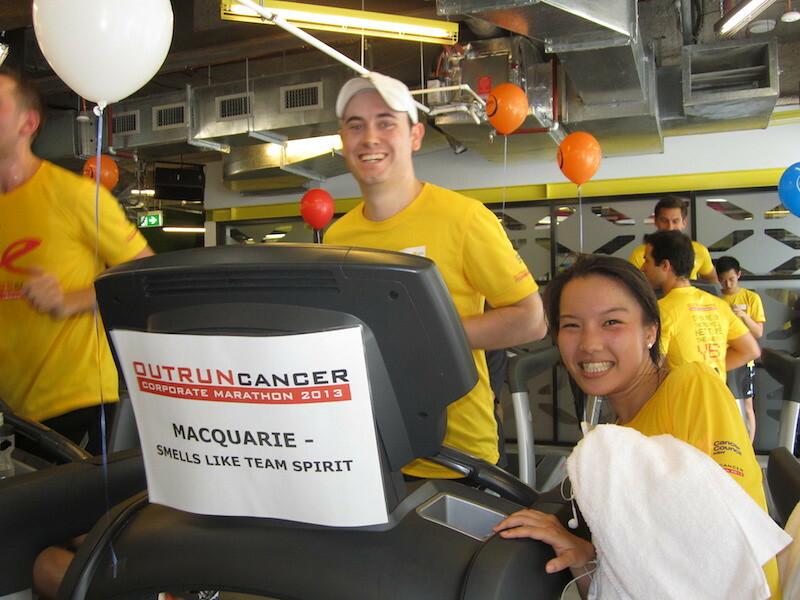 And with Macquarie Group Foundation generous donation, the total goes up to a massive $32,648. 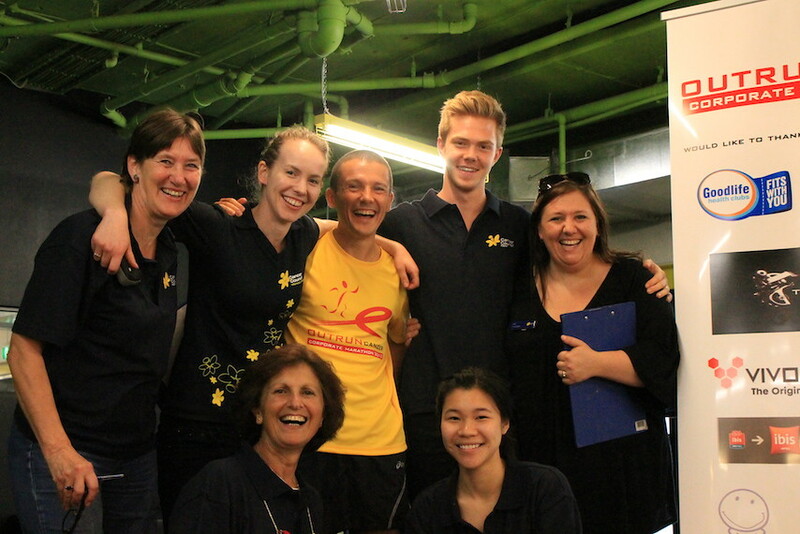 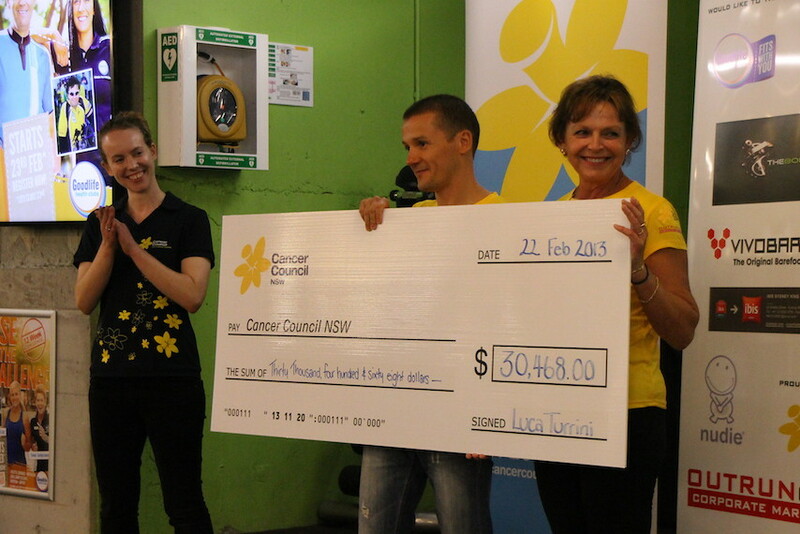 This money, together with the $29,000 raised last year, is a real contribution in the fight against cancer. 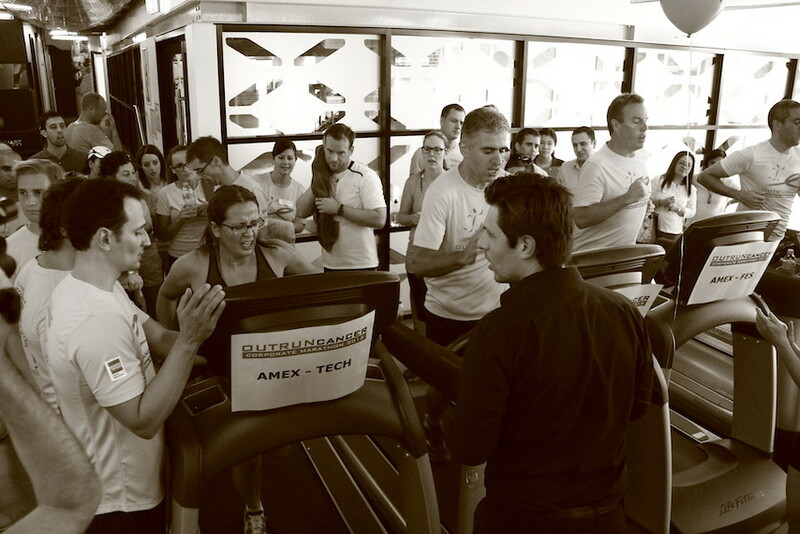 This goes to show what like-minded people can achieve when they work together. 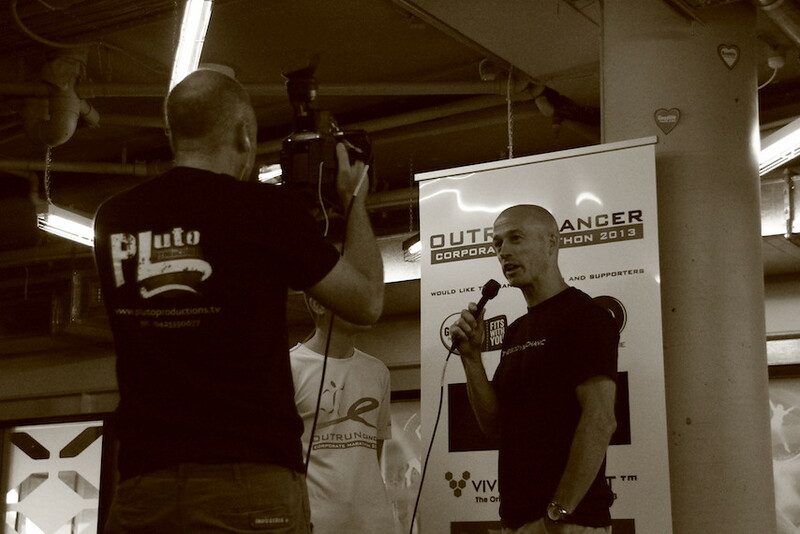 I am really looking forward to see how the event will evolve and grow in the next years. 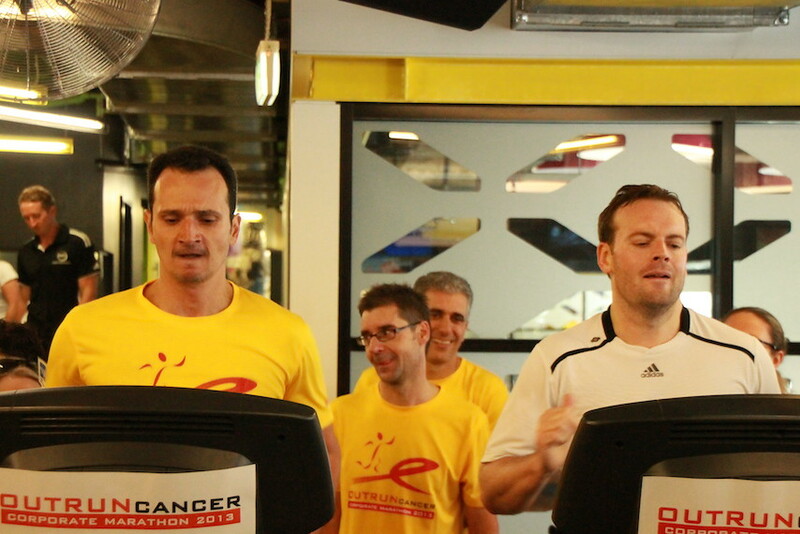 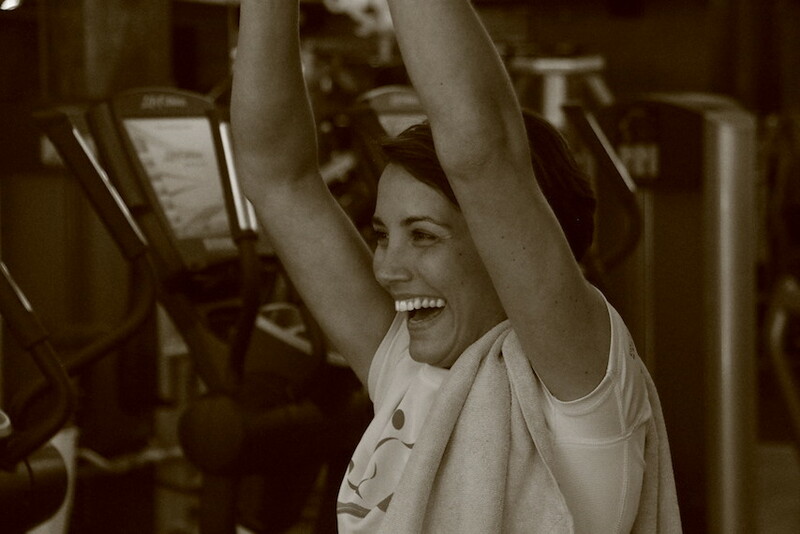 With your support and generosity I am very positive we will achieve our goal, beating cancer. 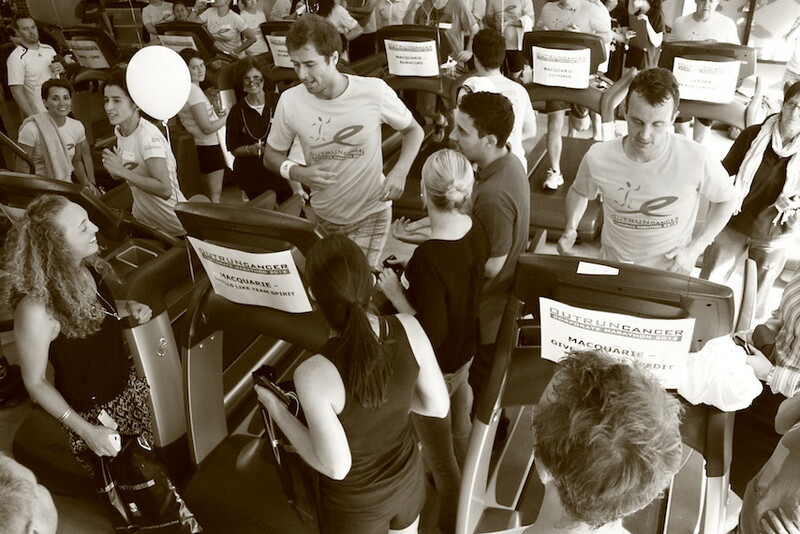 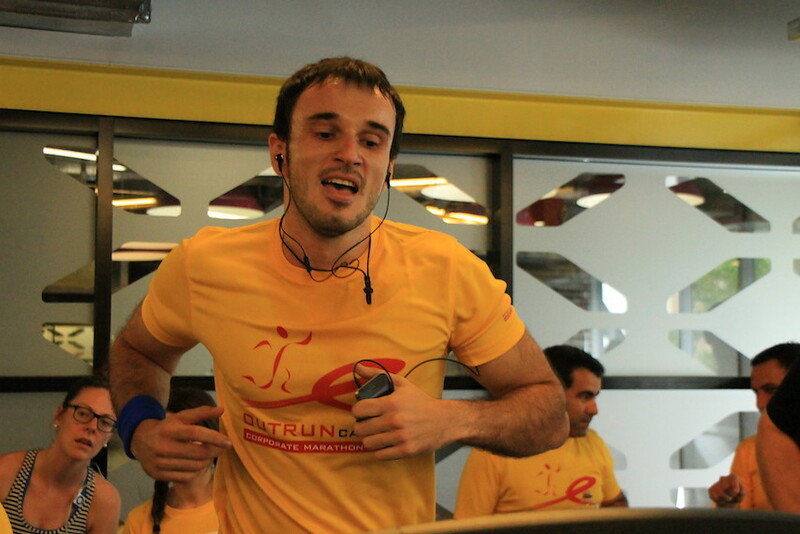 Because sometimes all it takes is to put one foot in front of the other… Yes, even on a treadmill! 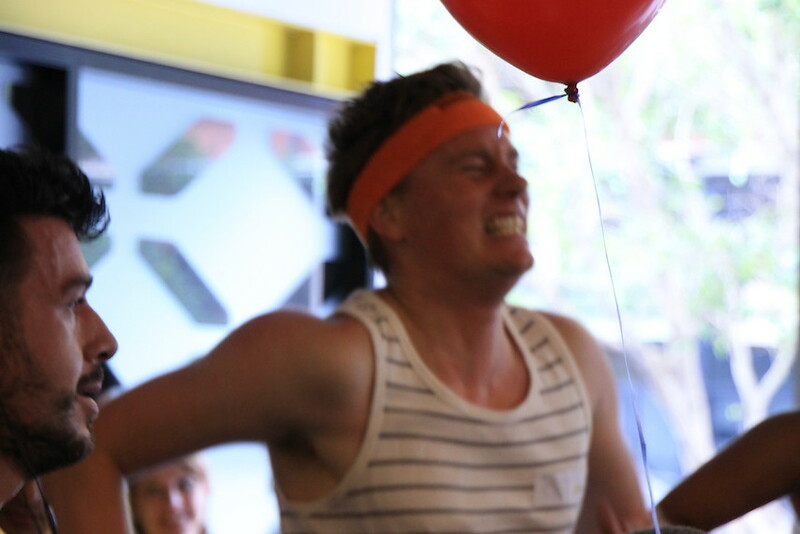 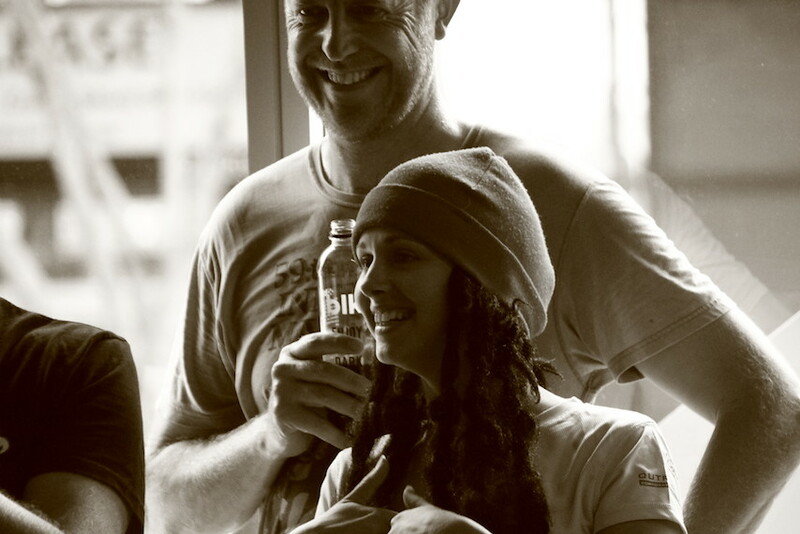 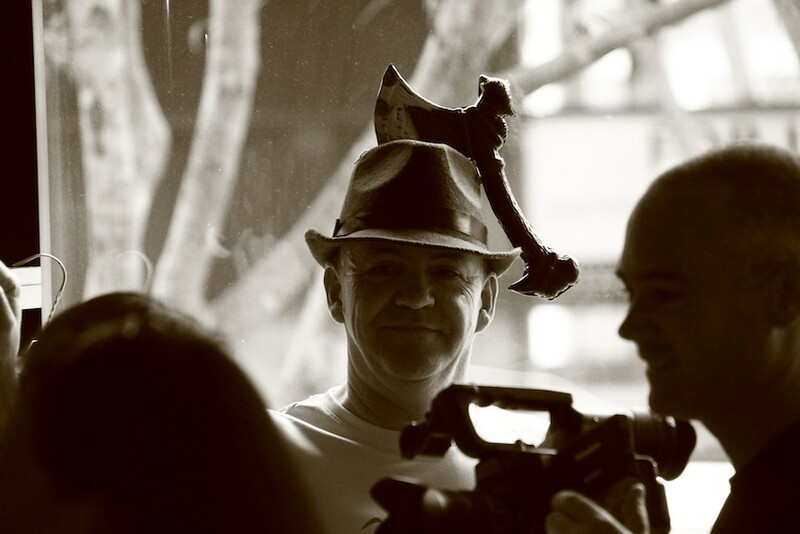 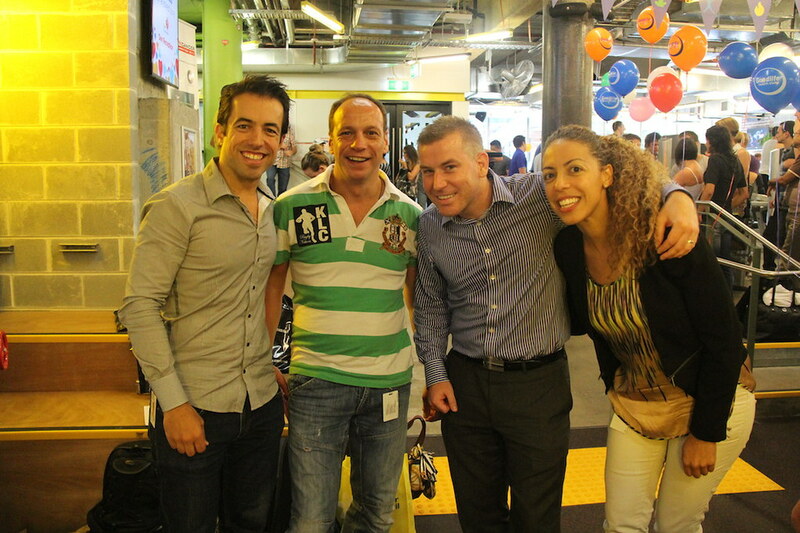 Judging from the pictures below, it looks as everyone enjoyed the day as much as I did… maybe everyone but Andy. 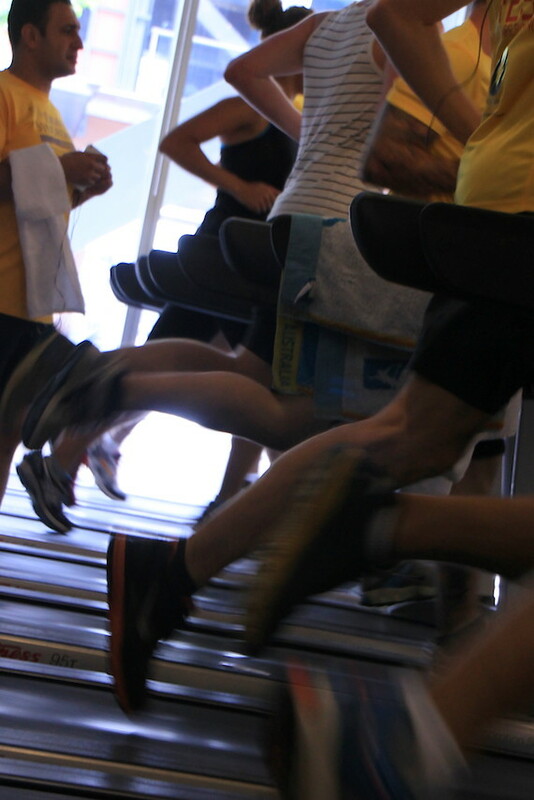 The leg waxing looked pretty painful!